For other uses, see Concorde (disambiguation). The Aérospatiale/BAC Concorde (/ˈkɒnkɔːrd/) is a French-British turbojet-powered supersonic passenger airliner that was operated from 1976 until 2003. It had a maximum speed over twice the speed of sound at Mach 2.04 (1,354 mph or 2,180 km/h at cruise altitude), with seating for 92 to 128 passengers. First flown in 1969, Concorde entered service in 1976 and continued flying for the next 27 years. It is one of only two supersonic transports to have been operated commercially; the other is the Soviet-built Tupolev Tu-144, which operated in service from 1977 to 1978. Concorde was jointly developed and manufactured by Sud Aviation (later Aérospatiale) and the British Aircraft Corporation (BAC) under an Anglo-French treaty. Twenty aircraft were built, including six prototypes and development aircraft. Air France (AF) and British Airways (BA) were the only airlines to purchase and fly Concorde. The aircraft was used mainly by wealthy passengers who could afford to pay a high price in exchange for the aircraft's speed and luxury service. For example, in 1997, the round-trip ticket price from New York to London was $7,995 ($12.5 thousand in 2018 dollars), more than 30 times the cost of the cheapest option to fly this route. The original program cost estimate of £70 million met huge overruns and delays, with the program eventually costing £1.3 billion. It was this extreme cost that became the main factor in the production run being much smaller than anticipated. Later, another factor which affected the viability of all supersonic transport programmes was that supersonic flight could only be used on ocean-crossing routes, to prevent sonic boom disturbance over populated areas. With only seven airframes each being operated by the British and French, the per-unit cost was impossible to recoup, so the French and British governments absorbed the development costs. British Airways and Air France were able to operate Concorde at a profit, in spite of very high maintenance costs, because the aircraft was able to sustain a high ticket price. Among other destinations, Concorde flew regular transatlantic flights from London's Heathrow Airport and Paris's Charles de Gaulle Airport to John F. Kennedy International Airport in New York, Washington Dulles International Airport in Virginia, and Grantley Adams International Airport in Barbados; it flew these routes in less than half the time of other airliners. Concorde won the 2006 Great British Design Quest organised by the BBC and the Design Museum, beating other well-known designs such as the BMC Mini, the miniskirt, the Jaguar E-Type, the London Tube map and the Supermarine Spitfire. The type was retired in 2003, three years after the crash of Air France Flight 4590, in which all passengers and crew were killed. The general downturn in the commercial aviation industry after the September 11 attacks in 2001 and the end of maintenance support for Concorde by Airbus (the successor company of both Aérospatiale and BAC) also contributed. The origins of the Concorde project date to the early 1950s, when Arnold Hall, director of the Royal Aircraft Establishment (RAE) asked Morien Morgan to form a committee to study the supersonic transport (SST) concept. The group met for the first time in February 1954 and delivered their first report in April 1955. At the time it was known that the drag at supersonic speeds was strongly related to the span of the wing. [N 1] This led to the use of very short-span, very thin trapezoidal wings such as those seen on the control surfaces of many missiles, or in aircraft like the Lockheed F-104 Starfighter or the Avro 730 that the team studied. The team outlined a baseline configuration that looked like an enlarged Avro 730. This same short span produced very little lift at low speed, which resulted in extremely long take-off runs and frighteningly high landing speeds. In an SST design, this would have required enormous engine power to lift off from existing runways, and to provide the fuel needed, "some horribly large aeroplanes" resulted. Based on this, the group considered the concept of an SST infeasible, and instead suggested continued low-level studies into supersonic aerodynamics. The HP.115 tested the low-speed performance of the slender delta layout. On 1 October 1956 the Ministry of Supply asked Morgan to form a new study group, the Supersonic Transport Aircraft Committee (STAC) (sometimes referred to as the Supersonic Transport Advisory Committee), with the explicit goal of developing a practical SST design and finding industry partners to build it. At the very first meeting, on 5 November 1956, the decision was made to fund the development of a test bed aircraft to examine the low-speed performance of the slender delta, a contract that eventually produced the Handley Page HP.115. This aircraft would ultimately demonstrate safe control at speeds as low as 69 mph (111 km/h), about 1/3 that of the F-104 Starfighter. STAC stated that an SST would have economic performance similar to existing subsonic types. Although they would burn more fuel in cruise, they would be able to fly more sorties in a given period of time, so fewer aircraft would be needed to service a particular route. This would remain economically advantageous as long as fuel represented a small percentage of operational costs, as it did at the time. STAC suggested that two designs naturally fell out of their work, a transatlantic model flying at about Mach 2, and a shorter-range version flying at perhaps Mach 1.2. Morgan suggested that a 150-passenger transatlantic SST would cost about £75 to £90 million to develop, and be in service in 1970. The smaller 100 passenger short-range version would cost perhaps £50 to £80 million, and be ready for service in 1968. To meet this schedule, development would need to begin in 1960, with production contracts let in 1962. Morgan strongly suggested that the US was already involved in a similar project, and that if the UK failed to respond it would be locked out of an airliner market that he believed would be dominated by SST aircraft. In 1959, a study contract was awarded to Hawker Siddeley and Bristol for preliminary designs based on the slender delta concept, which developed as the HSA.1000 and Bristol 198. Armstrong Whitworth also responded with an internal design, the M-Wing, for the lower-speed shorter-range category. Even at this early time, both the STAC group and the government were looking for partners to develop the designs. In September 1959, Hawker approached Lockheed, and after the creation of British Aircraft Corporation in 1960, the former Bristol team immediately started talks with Boeing, General Dynamics, Douglas Aircraft and Sud Aviation. Küchemann and others at the RAE continued their work on the slender delta throughout this period, considering three basic shapes; the classic straight-edge delta, the "gothic delta" that was rounded outwards to appear like a gothic arch, and the "ogival wing" that was compound-rounded into the shape of an ogee. Each of these planforms had its own advantages and disadvantages in terms of aerodynamics. As they worked with these shapes, a practical concern grew to become so important that it forced selection of one of these designs. Generally one wants to have the wing's centre of pressure (CP, or "lift point") close to the aircraft's centre of gravity (CG, or "balance point") to reduce the amount of control force required to pitch the aircraft. As the aircraft layout changes during the design phase, it is common for the CG to move fore or aft. With a normal wing design this can be addressed by moving the wing slightly fore or aft to account for this. [N 3] With a delta wing running most of the length of the fuselage, this was no longer easy; moving the wing would leave it in front of the nose or behind the tail. Studying the various layouts in terms of CG changes, both during design and changes due to fuel use during flight, the ogee planform immediately came to the fore. While the wing planform was evolving, so was the basic SST concept. Bristol's original Type 198 was a small design with an almost pure slender delta wing, but evolved into the larger Type 223. By this time similar political and economic concerns in France had led to their own SST plans. In the late 1950s the government requested designs from both the government-owned Sud Aviation and Nord Aviation, as well as Dassault. [N 4] All three returned designs based on Küchemann and Weber's slender delta; Nord suggested a ramjet powered design flying at Mach 3, the other two were jet powered Mach 2 designs that were similar to each other. Of the three, the Sud Aviation Super-Caravelle won the design contest with a medium-range design deliberately sized to avoid competition with transatlantic US designs they assumed were already on the drawing board. As soon as the design was complete, in April 1960, Pierre Satre, the company's technical director, was sent to Bristol to discuss a partnership. Bristol was surprised to find that the Sud team had designed a very similar aircraft after considering the SST problem and coming to the very same conclusions as the Bristol and STAC teams in terms of economics. It was later revealed that the original STAC report, marked "For UK Eyes Only", had secretly been passed to the French to win political favour. Sud made minor changes to the paper, and presented it as their own work. Unsurprisingly, the two teams found much to agree on. The French had no modern large jet engines, and had already concluded they would buy a British design anyway (as they had on the earlier subsonic Caravelle). As neither company had experience in the use of high-heat metals for airframes, a maximum speed of around Mach 2 was selected so aluminium could be used – above this speed the friction with the air warms the metal so much that aluminium begins to soften. This lower speed would also speed development and allow their design to fly before the Americans. Finally, everyone involved agreed that Küchemann's ogee shaped wing was the right one. The only disagreements were over the size and range. The UK team was still focused on a 150-passenger design serving transatlantic routes, while the French were deliberately avoiding these. However, this proved not to be the barrier it might seem; common components could be used in both designs, with the shorter range version using a clipped fuselage and four engines, the longer one with a stretched fuselage and six engines, leaving only the wing to be extensively re-designed. The teams continued to meet through 1961, and by this time it was clear that the two aircraft would be considerably more similar in spite of different range and seating arrangements. A single design emerged that differed mainly in fuel load. More powerful Bristol Siddeley Olympus engines, being developed for the TSR-2, allowed either design to be powered by only four engines. While the development teams met, French Minister of Public Works and Transport Robert Buron was meeting with the UK Minister of Aviation Peter Thorneycroft, and Thorneycroft soon revealed to the cabinet that the French were much more serious about a partnership than any of the US companies. The various US companies had proved uninterested in such a venture, likely due to the belief that the government would be funding development and would frown on any partnership with a European company, and the risk of "giving away" US technological leadership to a European partner. When the STAC plans were presented to the UK cabinet, a very negative reaction resulted. The economic considerations were considered highly questionable, especially as these were based on development costs, now estimated to be £150 million, which were repeatedly overrun in the industry. The Treasury Ministry in particular presented a very negative view, suggesting that there was no way the project would have any positive financial returns for the government, especially in light that "the industry's past record of over-optimistic estimating (including the recent history of the TSR.2) suggests that it would be prudent to consider the £150 million [cost] to turn out much too low." This concern led to an independent review of the project by the Committee on Civil Scientific Research and Development, which met on topic between July and September 1962. The Committee ultimately rejected the economic arguments, including considerations of supporting the industry made by Thorneycroft. Their report in October stated that it was unlikely there would be any direct positive economic outcome, but that the project should still be considered for the simple reason that everyone else was going supersonic, and they were concerned they would be locked out of future markets. Conversely, it appeared the project would not be likely to significantly impact other, more important, research efforts. After considerable argument, the decision to proceed ultimately fell to an unlikely political expediency. At the time, the UK was pressing for admission to the European Common Market, which was being controlled by Charles de Gaulle who felt the UK's Special Relationship with the US made them unacceptable in a pan-European group. Cabinet felt that signing a deal with Sud would pave the way for Common Market entry, and this became the main deciding reason for moving ahead with the deal. It was this belief that had led the original STAC documents being leaked to the French. However, De Gaulle spoke of the European origin of the design, and continued to block the UK's entry into the Common Market. The development project was negotiated as an international treaty between the two countries rather than a commercial agreement between companies and included a clause, originally asked for by the UK, imposing heavy penalties for cancellation. A draft treaty was signed on 29 November 1962. Reflecting the treaty between the British and French governments that led to Concorde's construction, the name Concorde is from the French word concorde (IPA: [kɔ̃kɔʁd]), which has an English equivalent, concord. Both words mean agreement, harmony or union. The name was officially changed to Concord by Harold Macmillan in response to a perceived slight by Charles de Gaulle. At the French roll-out in Toulouse in late 1967, the British Government Minister for Technology, Tony Benn, announced that he would change the spelling back to Concorde. This created a nationalist uproar that died down when Benn stated that the suffixed "e" represented "Excellence, England, Europe and Entente (Cordiale)". In his memoirs, he recounts a tale of a letter from an irate Scotsman claiming: "[Y]ou talk about 'E' for England, but part of it is made in Scotland." Given Scotland's contribution of providing the nose cone for the aircraft, Benn replied, "[I]t was also 'E' for 'Écosse' (the French name for Scotland) – and I might have added 'e' for extravagance and 'e' for escalation as well!" Concorde also acquired an unusual nomenclature for an aircraft. In common usage in the United Kingdom, the type is known as Concorde without an article, rather than the Concorde or a Concorde. Described by Flight International as an "aviation icon" and "one of aerospace's most ambitious but commercially flawed projects", Concorde failed to meet its original sales targets, despite initial interest from several airlines. At first, the new consortium intended to produce one long-range and one short-range version. However, prospective customers showed no interest in the short-range version and it was dropped. An advertisement covering two full pages, promoting Concorde, ran in the 29 May 1967 issue of Aviation Week & Space Technology. The advertisement predicted a market for 350 aircraft by 1980 and boasted of Concorde's head start over the United States' SST project. Concorde had considerable difficulties that led to its dismal sales performance. Costs had spiralled during development to more than six times the original projections, arriving at a unit cost of £23 million in 1977 (equivalent to £140.36 million in 2018). Its sonic boom made travelling supersonically over land impossible without causing complaints from citizens. World events had also dampened Concorde sales prospects, the 1973-74 stock market crash and the 1973 oil crisis had made many airlines cautious about aircraft with high fuel consumption rates; and new wide-body aircraft, such as the Boeing 747, had recently made subsonic aircraft significantly more efficient and presented a low-risk option for airlines. While carrying a full load, Concorde achieved 15.8 passenger miles per gallon of fuel, while the Boeing 707 reached 33.3 pm/g, the Boeing 747 46.4 pm/g, and the McDonnell Douglas DC-10 53.6 pm/g. An emerging trend in the industry in favour of cheaper airline tickets had also caused airlines such as Qantas to question Concorde's market suitability. This table needs additional citations for verification. Please help improve this article by adding citations to reliable sources. Unsourced material may be challenged and removed. The design work was supported by a preceding research programme studying the flight characteristics of low ratio delta wings. A supersonic Fairey Delta 2 was modified to carry the ogee planform, and, renamed as the BAC 221, used for flight tests of the high speed flight envelope, the Handley Page HP.115 also provided valuable information on low speed performance. Construction of two prototypes began in February 1965: 001, built by Aérospatiale at Toulouse, and 002, by BAC at Filton, Bristol. Concorde 001 made its first test flight from Toulouse on 2 March 1969, piloted by André Turcat, and first went supersonic on 1 October. The first UK-built Concorde flew from Filton to RAF Fairford on 9 April 1969, piloted by Brian Trubshaw. Both prototypes were presented to the public for the first time on 7–8 June 1969 at the Paris Air Show. As the flight programme progressed, 001 embarked on a sales and demonstration tour on 4 September 1971, which was also the first transatlantic crossing of Concorde. Concorde 002 followed suit on 2 June 1972 with a tour of the Middle and Far East. Concorde 002 made the first visit to the United States in 1973, landing at the new Dallas/Fort Worth Regional Airport to mark that airport's opening. During testing, Concorde F-WTSB attained the highest altitude recorded in sustained level flight of a passenger aircraft of 68,000 ft, in June 1973. Concorde G-AXDN attained the highest recorded speed of Mach 2.23 on 26 March 1974, at an altitude of 63,700 ft. While Concorde had initially held a great deal of customer interest, the project was hit by a large number of order cancellations. The Paris Le Bourget air show crash of the competing Soviet Tupolev Tu-144 had shocked potential buyers, and public concern over the environmental issues presented by a supersonic aircraft—the sonic boom, take-off noise and pollution—had produced a shift in public opinion of SSTs. By 1976 four nations remained as prospective buyers: Britain, France, China, and Iran. Only Air France and British Airways (the successor to BOAC) took up their orders, with the two governments taking a cut of any profits made. The United States government cut federal funding for the Boeing 2707, its rival supersonic transport programme, in 1971; Boeing did not complete its two 2707 prototypes. The US, India, and Malaysia all ruled out Concorde supersonic flights over the noise concern, although some of these restrictions were later relaxed. Professor Douglas Ross characterised restrictions placed upon Concorde operations by President Jimmy Carter's administration as having been an act of protectionism of American aircraft manufacturers. Concorde flew to an altitude of 68,000 ft (20,700 m) during a test flight in June 1973. Concorde is an ogival delta winged aircraft with four Olympus engines based on those employed in the RAF's Avro Vulcan strategic bomber. It is one of the few commercial aircraft to employ a tailless design (the Tupolev Tu-144 being another). Concorde was the first airliner to have a (in this case, analogue) fly-by-wire flight-control system; the avionics system Concorde used was unique because it was the first commercial aircraft to employ hybrid circuits. The principal designer for the project was Pierre Satre, with Sir Archibald Russell as his deputy. Mach 2.02 (~2,154 km/h or 1,338 mph) cruising speed for optimum fuel consumption (supersonic drag minimum and turbojet engines are more efficient at higher speed) Fuel consumption at Mach 2.0 and at altitude of 60,000 feet (18,000 m) was 4,800 gallons per hour (22,000 l/h). High-pressure hydraulic system using 28 MPa (4,000 lbf/in²) for lighter hydraulic components, tripled independent systems ("Blue", "Green", and "Yellow") for redundancy, with an emergency ram air turbine (RAT) stored in the port-inner elevon jack fairing supplying "Green" and "Yellow" as backup. Complex Air data computer (ADC) for the automated monitoring and transmission of aerodynamic measurements (total pressure, static pressure, angle of attack, side-slip). Pitch trim by shifting fuel fore-and-aft for centre-of-gravity (CofG) control at the approach to Mach 1 and above with no drag penalty. Pitch trimming by fuel transfer had been used since 1958 on the B-58 supersonic bomber. Parts made using "sculpture milling", reducing the part count while saving weight and adding strength. No auxiliary power unit, as Concorde would only visit large airports where ground air start carts are available. Close up of engine nozzles of production Concorde G-AXDN. The nozzle consists of tilting cups. A symposium titled "Supersonic-Transport Implications" was hosted by the Royal Aeronautical Society on 8 December 1960. Various views were put forward on the likely type of powerplant for a supersonic transport, such as podded or buried installation and turbojet or ducted-fan engines. Boundary layer management in the podded installation was put forward as simpler with only an inlet cone but Dr. Seddon of the RAE saw "a future in a more sophisticated integration of shapes" in a buried installation. Another concern highlighted the case with two or more engines situated behind a single intake. An intake failure could lead to a double or triple engine failure. The advantage of the ducted fan over the turbojet was reduced airport noise but with considerable economic penalties with its larger cross-section producing excessive drag. At that time it was considered that the noise from a turbojet optimised for supersonic cruise could be reduced to an acceptable level using noise suppressors as used on subsonic jets. The powerplant configuration selected for Concorde, and its development to a certificated design, can be seen in light of the above symposium topics (which highlighted airfield noise, boundary layer management and interactions between adjacent engines) and the requirement that the powerplant, at Mach 2, tolerate combinations of pushovers, sideslips, pull-ups and throttle slamming without surging. :p.131 Extensive development testing with design changes and changes to intake and engine control laws would address most of the issues except airfield noise and the interaction between adjacent powerplants at speeds above Mach 1.6 which meant Concorde "had to be certified aerodynamically as a twin-engined aircraft above Mach 1.6". Rolls-Royce had a design proposal, the RB.169, for the aircraft at the time of Concorde's initial design but "to develop a brand-new engine for Concorde would have been prohibitively expensive" so an existing engine, already flying in the TSR-2 prototype, was chosen. It was the Olympus 320 turbojet, a development of the Bristol engine first used for the Avro Vulcan bomber. Great confidence was placed in being able to reduce the noise of a turbojet and massive strides by SNECMA in silencer design were reported during the programme. However, by 1974 the spade silencers which projected into the exhaust were reported to be ineffective. The Olympus Mk.622 with reduced jet velocity was proposed to reduce the noise but it was not developed. Situated behind the leading edge of the wing the engine intake had wing boundary layer ahead of it. Two thirds was diverted and the remaining third which entered the intake did not adversely affect the intake efficiency:p.21 except during pushovers when the boundary layer thickened ahead of the intake and caused surging. Extensive wind tunnel testing helped define leading edge modifications ahead of the intakes which solved the problem. Each engine had its own intake and the engine nacelles were paired with a splitter plate between them to minimise adverse behaviour of one powerplant influencing the other. Only above Mach 1.6 was an engine surge likely to affect the adjacent engine. Concorde needed to fly long distances to be economically viable; this required high efficiency from the powerplant. Turbofan engines were rejected due to their larger cross-section producing excessive drag. Olympus turbojet technology was available to be developed to meet the design requirements of the aircraft, although turbofans would be studied for any future SST. The aircraft used reheat (afterburners) at take-off and to pass through the upper transonic regime and to supersonic speeds, between Mach 0.95 and Mach 1.7. The afterburners were switched off at all other times. Due to jet engines being highly inefficient at low speeds, Concorde burned two tonnes of fuel (almost 2% of the maximum fuel load) taxiing to the runway. Fuel used is Jet A-1. Due to the high thrust produced even with the engines at idle, only the two outer engines were run after landing for easier taxiing and less brake pad wear – at low weights after landing, the aircraft would not remain stationary with all four engines idling requiring the brakes to be continuously applied to prevent the aircraft from rolling. The intake design for Concorde's engines was especially critical. The intakes had to provide low distortion levels (to prevent engine surge) and high efficiency for all likely ambient temperatures to be met in cruise. They had to provide adequate subsonic performance for diversion cruise and low engine-face distortion at take-off. They also had to provide an alternative path for excess intake air during engine throttling or shutdowns. The variable intake features required to meet all these requirements consisted of front and rear ramps, a dump door, an auxiliary inlet and a ramp bleed to the exhaust nozzle. As well as supplying air to the engine, the intake also supplied air through the ramp bleed to the propelling nozzle. 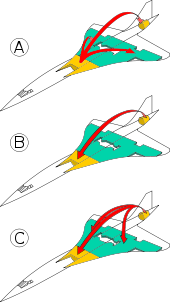 The nozzle ejector (or aerodynamic) design, with variable exit area and secondary flow from the intake, contributed to good expansion efficiency from take-off to cruise. Engine failure causes problems on conventional subsonic aircraft; not only does the aircraft lose thrust on that side but the engine creates drag, causing the aircraft to yaw and bank in the direction of the failed engine. If this had happened to Concorde at supersonic speeds, it theoretically could have caused a catastrophic failure of the airframe. Although computer simulations predicted considerable problems, in practice Concorde could shut down both engines on the same side of the aircraft at Mach 2 without the predicted difficulties. During an engine failure the required air intake is virtually zero. So, on Concorde, engine failure was countered by the opening of the auxiliary spill door and the full extension of the ramps, which deflected the air downwards past the engine, gaining lift and minimising drag. Concorde pilots were routinely trained to handle double engine failure. Concorde's Air Intake Control Units (AICUs) made use of a digital processor to provide the necessary accuracy for intake control. It was the world's first use of a digital processor to be given full authority control of an essential system in a passenger aircraft. It was developed by the Electronics and Space Systems (ESS) division of the British Aircraft Corporation after it became clear that the analogue AICUs fitted to the prototype aircraft and developed by Ultra Electronics were found to be insufficiently accurate for the tasks in hand. Concorde's thrust-by-wire engine control system was developed by Ultra Electronics. Air compression on the outer surfaces caused the cabin to heat up during flight. Every surface, such as windows and panels, was warm to the touch by the end of the flight. Besides engines, the hottest part of the structure of any supersonic aircraft is the nose, due to aerodynamic heating. The engineers used Hiduminium R.R. 58, an aluminium alloy, throughout the aircraft because of its familiarity, cost and ease of construction. The highest temperature that aluminium could sustain over the life of the aircraft was 127 °C (261 °F), which limited the top speed to Mach 2.02. Concorde went through two cycles of heating and cooling during a flight, first cooling down as it gained altitude, then heating up after going supersonic. The reverse happened when descending and slowing down. This had to be factored into the metallurgical and fatigue modelling. A test rig was built that repeatedly heated up a full-size section of the wing, and then cooled it, and periodically samples of metal were taken for testing. The Concorde airframe was designed for a life of 45,000 flying hours. Owing to air compression in front of the plane as it travelled at supersonic speed, the fuselage heated up and expanded by as much as 300 mm (almost 1 ft). The most obvious manifestation of this was a gap that opened up on the flight deck between the flight engineer's console and the bulkhead. On some aircraft that conducted a retiring supersonic flight, the flight engineers placed their caps in this expanded gap, wedging the cap when it shrank again. To keep the cabin cool, Concorde used the fuel as a heat sink for the heat from the air conditioning. The same method also cooled the hydraulics. During supersonic flight the surfaces forward from the cockpit became heated, and a visor was used to deflect much of this heat from directly reaching the cockpit. Concorde had livery restrictions; the majority of the surface had to be covered with a highly reflective white paint to avoid overheating the aluminium structure due to heating effects from supersonic flight at Mach 2. The white finish reduced the skin temperature by 6 to 11 degrees Celsius. In 1996, Air France briefly painted F-BTSD in a predominantly blue livery, with the exception of the wings, in a promotional deal with Pepsi. In this paint scheme, Air France was advised to remain at Mach 2 for no more than 20 minutes at a time, but there was no restriction at speeds under Mach 1.7. F-BTSD was used because it was not scheduled for any long flights that required extended Mach 2 operations. Due to its high speeds, large forces were applied to the aircraft during banks and turns, and caused twisting and distortion of the aircraft's structure. In addition there were concerns over maintaining precise control at supersonic speeds. Both of these issues were resolved by active ratio changes between the inboard and outboard elevons, varying at differing speeds including supersonic. Only the innermost elevons, which are attached to the stiffest area of the wings, were active at high speed. Additionally, the narrow fuselage meant that the aircraft flexed. This was visible from the rear passengers' viewpoints. When any aircraft passes the critical mach of that particular airframe, the centre of pressure shifts rearwards. This causes a pitch down moment on the aircraft if the centre of gravity remains where it was. The engineers designed the wings in a specific manner to reduce this shift, but there was still a shift of about 2 metres. This could have been countered by the use of trim controls, but at such high speeds this would have dramatically increased drag. Instead, the distribution of fuel along the aircraft was shifted during acceleration and deceleration to move the centre of gravity, effectively acting as an auxiliary trim control. To fly non-stop across the Atlantic Ocean, Concorde required the greatest supersonic range of any aircraft. This was achieved by a combination of engines which were highly efficient at supersonic speeds,[N 5] a slender fuselage with high fineness ratio, and a complex wing shape for a high lift-to-drag ratio. This also required carrying only a modest payload and a high fuel capacity, and the aircraft was trimmed with precision to avoid unnecessary drag. Nevertheless, soon after Concorde began flying, a Concorde "B" model was designed with slightly larger fuel capacity and slightly larger wings with leading edge slats to improve aerodynamic performance at all speeds, with the objective of expanding the range to reach markets in new regions. It featured more powerful engines with sound deadening and without the fuel-hungry and noisy afterburner. It was speculated that it was reasonably possible to create an engine with up to 25% gain in efficiency over the Rolls-Royce/Snecma Olympus 593. This would have given 500 mi (805 km) additional range and a greater payload, making new commercial routes possible. This was cancelled due in part to poor sales of Concorde, but also to the rising cost of aviation fuel in the 1970s. British Airways Concorde interior. The narrow fuselage permitted only a 4-abreast seating with limited headroom. Concorde's high cruising altitude meant passengers received almost twice the flux of extraterrestrial ionising radiation as those travelling on a conventional long-haul flight. Upon Concorde's introduction, it was speculated that this exposure during supersonic travels would increase the likelihood of skin cancer. Due to the proportionally reduced flight time, the overall equivalent dose would normally be less than a conventional flight over the same distance. Unusual solar activity might lead to an increase in incident radiation. To prevent incidents of excessive radiation exposure, the flight deck had a radiometer and an instrument to measure the rate of decrease of radiation. If the radiation level became too high, Concorde would descend below 47,000 feet (14,000 m). Airliner cabins were usually maintained at a pressure equivalent to 6,000–8,000 feet (1,800–2,400 m) elevation. Concorde's pressurisation was set to an altitude at the lower end of this range, 6,000 feet (1,800 m). Concorde's maximum cruising altitude was 60,000 feet (18,000 m); subsonic airliners typically cruise below 44,000 feet (13,000 m). A sudden reduction in cabin pressure is hazardous to all passengers and crew. Above 50,000 feet (15,000 m), a sudden cabin depressurisation would leave a "time of useful consciousness" up to 10–15 seconds for a conditioned athlete. 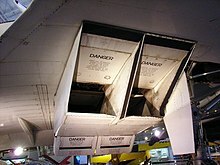 At Concorde's altitude, the air density is very low; a breach of cabin integrity would result in a loss of pressure severe enough that the plastic emergency oxygen masks installed on other passenger jets would not be effective and passengers would soon suffer from hypoxia despite quickly donning them. Concorde was equipped with smaller windows to reduce the rate of loss in the event of a breach, a reserve air supply system to augment cabin air pressure, and a rapid descent procedure to bring the aircraft to a safe altitude. The FAA enforces minimum emergency descent rates for aircraft and noting Concorde's higher operating altitude, concluded that the best response to pressure loss would be a rapid descent. Continuous positive airway pressure would have delivered pressurised oxygen directly to the pilots through masks. While subsonic commercial jets took eight hours to fly from New York to Paris, the average supersonic flight time on the transatlantic routes was just under 3.5 hours. Concorde had a maximum cruise altitude of 18,300 metres (60,039 ft) and an average cruise speed of Mach 2.02, about 1155 knots (2140 km/h or 1334 mph), more than twice the speed of conventional aircraft. With no other civil traffic operating at its cruising altitude of about 56,000 ft (17,000 m), Concorde had exclusive use of dedicated oceanic airways, or "tracks", separate from the North Atlantic Tracks, the routes used by other aircraft to cross the Atlantic. Due to the significantly less variable nature of high altitude winds compared to those at standard cruising altitudes, these dedicated SST tracks had fixed co-ordinates, unlike the standard routes at lower altitudes, whose co-ordinates are replotted twice daily based on forecast weather patterns (jetstreams). Concorde would also be cleared in a 15,000-foot (4,600 m) block, allowing for a slow climb from 45,000 to 60,000 ft (18,000 m) during the oceanic crossing as the fuel load gradually decreased. In regular service, Concorde employed an efficient cruise-climb flight profile following take-off. The delta-shaped wings required Concorde to adopt a higher angle of attack at low speeds than conventional aircraft, but it allowed the formation of large low pressure vortices over the entire upper wing surface, maintaining lift. The normal landing speed was 170 miles per hour (274 km/h). Because of this high angle, during a landing approach Concorde was on the "back side" of the drag force curve, where raising the nose would increase the rate of descent; the aircraft was thus largely flown on the throttle and was fitted with an autothrottle to reduce the pilot's workload. The only thing that tells you that you're moving is that occasionally when you're flying over the subsonic aeroplanes you can see all these 747s 20,000 feet below you almost appearing to go backwards, I mean you are going 800 miles an hour or thereabouts faster than they are. The aeroplane was an absolute delight to fly, it handled beautifully. And remember we are talking about an aeroplane that was being designed in the late 1950s – mid 1960s. I think it's absolutely amazing and here we are, now in the 21st century, and it remains unique. Because of the way Concorde's delta-wing generated lift, the undercarriage had to be unusually strong and tall to allow for the angle of attack at low speed. At rotation, Concorde would rise to a high angle of attack, about 18 degrees. Prior to rotation the wing generated almost no lift, unlike typical aircraft wings. Combined with the high airspeed at rotation (199 knots indicated airspeed), this increased the stresses on the main undercarriage in a way that was initially unexpected during the development and required a major redesign. Due to the high angle needed at rotation, a small set of wheels was added aft to prevent tailstrikes. The main undercarriage units swing towards each other to be stowed but due to their great height also need to contract in length telescopically before swinging to clear each other when stowed. The four main wheel tyres on each bogie unit are inflated to 232 lb/sq in (1,600 kPa). The twin-wheel nose undercarriage retracts forwards and its tyres are inflated to a pressure of 191 lb/sq in (1,320 kPa), and the wheel assembly carries a spray deflector to prevent standing water being thrown up into the engine intakes. The tyres are rated to a maximum speed on the runway of 250 mph (400 km/h). The starboard nose wheel carries a single disc brake to halt wheel rotation during retraction of the undercarriage. The port nose wheel carries speed generators for the anti-skid braking system which prevents brake activation until nose and main wheels rotate at the same rate. Additionally, due to the high average take-off speed of 250 miles per hour (400 km/h), Concorde needed upgraded brakes. Like most airliners, Concorde has anti-skid braking – a system which prevents the tyres from losing traction when the brakes are applied for greater control during roll-out. The brakes, developed by Dunlop, were the first carbon-based brakes used on an airliner. The use of carbon over equivalent steel brakes provided a weight-saving of 1,200 lb (540 kg). Each wheel has multiple discs which are cooled by electric fans. Wheel sensors include brake overload, brake temperature, and tyre deflation. After a typical landing at Heathrow, brake temperatures were around 300–400 °C (570–750 °F). Landing Concorde required a minimum of 6,000 feet (1,800 m) runway length, this in fact being considerably less than the shortest runway Concorde ever actually landed on, that of Cardiff Airport. Concorde's drooping nose, developed by Marshall's of Cambridge at Cambridge Airport, enabled the aircraft to switch between being streamlined to reduce drag and achieve optimal aerodynamic efficiency without obstructing the pilot's view during taxi, take-off, and landing operations. Due to the high angle of attack, the long pointed nose obstructed the view and necessitated the capability to droop. The droop nose was accompanied by a moving visor that retracted into the nose prior to being lowered. When the nose was raised to horizontal, the visor would rise in front of the cockpit windscreen for aerodynamic streamlining. A controller in the cockpit allowed the visor to be retracted and the nose to be lowered to 5° below the standard horizontal position for taxiing and take-off. Following take-off and after clearing the airport, the nose and visor were raised. Prior to landing, the visor was again retracted and the nose lowered to 12.5° below horizontal for maximal visibility. Upon landing the nose was raised to the 5° position to avoid the possibility of damage. 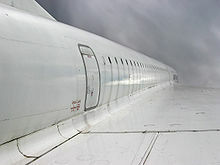 The US Federal Aviation Administration had objected to the restrictive visibility of the visor used on the first two prototype Concordes, which had been designed before a suitable high-temperature window glass had become available, and thus requiring alteration before the FAA would permit Concorde to serve US airports. This led to the redesigned visor used on the production and the four pre-production aircraft (101, 102, 201, and 202). The nose window and visor glass, needed to endure temperatures in excess of 100 °C (210 °F) at supersonic flight, were developed by Triplex. Concorde 001 was modified with rooftop portholes for use on the 1973 Solar Eclipse mission and equipped with observation instruments. It performed the longest observation of a solar eclipse to date, about 74 minutes. Scheduled flights began on 21 January 1976 on the London–Bahrain and Paris–Rio de Janeiro (via Dakar) routes, with BA flights using the Speedbird Concorde call sign to notify air traffic control of the aircraft's unique abilities and restrictions, but the French using their normal call signs. The Paris-Caracas route (via Azores) began on 10 April. 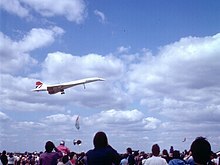 The US Congress had just banned Concorde landings in the US, mainly due to citizen protest over sonic booms, preventing launch on the coveted North Atlantic routes. The US Secretary of Transportation, William Coleman, gave permission for Concorde service to Washington Dulles International Airport, and Air France and British Airways simultaneously began a thrice-weekly service to Dulles on 24 May 1976. Due to low demand, Air France cancelled its Washington service in October 1982, while British Airways cancelled it in November 1994. When the US ban on JFK Concorde operations was lifted in February 1977, New York banned Concorde locally. The ban came to an end on 17 October 1977 when the Supreme Court of the United States declined to overturn a lower court's ruling rejecting efforts by the Port Authority of New York and New Jersey and a grass-roots campaign led by Carol Berman to continue the ban. In spite of complaints about noise, the noise report noted that Air Force One, at the time a Boeing VC-137, was louder than Concorde at subsonic speeds and during take-off and landing. Scheduled service from Paris and London to New York's John F. Kennedy Airport began on 22 November 1977. In 1977, British Airways and Singapore Airlines shared a Concorde for flights between London and Singapore International Airport at Paya Lebar via Bahrain. The aircraft, BA's Concorde G-BOAD, was painted in Singapore Airlines livery on the port side and British Airways livery on the starboard side. The service was discontinued after three return flights because of noise complaints from the Malaysian government; it could only be reinstated on a new route bypassing Malaysian airspace in 1979. A dispute with India prevented Concorde from reaching supersonic speeds in Indian airspace, so the route was eventually declared not viable and discontinued in 1980. During the Mexican oil boom, Air France flew Concorde twice weekly to Mexico City's Benito Juárez International Airport via Washington, DC, or New York City, from September 1978 to November 1982. The worldwide economic crisis during that period resulted in this route's cancellation; the last flights were almost empty. The routing between Washington or New York and Mexico City included a deceleration, from Mach 2.02 to Mach 0.95, to cross Florida subsonically and avoid creating a sonic boom over the state; Concorde then re-accelerated back to high speed while crossing the Gulf of Mexico. On 1 April 1989, on an around-the-world luxury tour charter, British Airways implemented changes to this routing that allowed G-BOAF to maintain Mach 2.02 by passing around Florida to the east and south. Periodically Concorde visited the region on similar chartered flights to Mexico City and Acapulco. From December 1978 to May 1980, Braniff International Airways leased 11 Concordes, five from Air France and six from British Airways. These were used on subsonic flights between Dallas-Fort Worth and Washington Dulles International Airport, flown by Braniff flight crews. Air France and British Airways crews then took over for the continuing supersonic flights to London and Paris. The aircraft were registered in both the United States and their home countries; the European registration was covered while being operated by Braniff, retaining full AF/BA liveries. The flights were not profitable and typically less than 50% booked, forcing Braniff to end its tenure as the only US Concorde operator in May 1980. In its early years, the British Airways Concorde service had a greater number of "no shows" (passengers who booked a flight and then failed to appear at the gate for boarding) than any other aircraft in the fleet. Following the launch of British Airways Concorde services, Britain's other major airline, British Caledonian (BCal), set up a task force headed by Gordon Davidson, BA's former Concorde director, to investigate the possibility of their own Concorde operations. This was seen as particularly viable for the airline's long-haul network as there were two unsold aircraft then available for purchase. One important reason for BCal's interest in Concorde was that the British Government's 1976 aviation policy review had opened the possibility of BA setting up supersonic services in competition with BCal's established sphere of influence. To counteract this potential threat, BCal considered their own independent Concorde plans, as well as a partnership with BA. BCal were considered most likely to have set up a Concorde service on the Gatwick–Lagos route, a major source of revenue and profits within BCal's scheduled route network; BCal's Concorde task force did assess the viability of a daily supersonic service complementing the existing subsonic widebody service on this route. BCal entered into a bid to acquire at least one Concorde. However, BCal eventually arranged for two aircraft to be leased from BA and Aérospatiale respectively, to be maintained by either BA or Air France. BCal's envisaged two-Concorde fleet would have required a high level of aircraft usage to be cost-effective; therefore, BCal had decided to operate the second aircraft on a supersonic service between Gatwick and Atlanta, with a stopover at either Gander or Halifax. Consideration was given to services to Houston and various points on its South American network at a later stage. Both supersonic services were to be launched at some point during 1980; however, steeply rising oil prices caused by the 1979 energy crisis led to BCal shelving their supersonic ambitions. By around 1981 in the UK, the future for Concorde looked bleak. The British government had lost money operating Concorde every year, and moves were afoot to cancel the service entirely. A cost projection came back with greatly reduced metallurgical testing costs because the test rig for the wings had built up enough data to last for 30 years and could be shut down. Despite this, the government was not keen to continue. In 1983, BA's managing director, Sir John King, convinced the government to sell the aircraft outright to the then state-owned British Airways for £16.5 million plus the first year's profits. British Airways was subsequently privatised in 1987. In 1983, Pan American accused the British Government of subsidising British Airways Concorde air fares, on which a return London-New York was £2,399 (£7951 in 2018 prices), compared to £1,986 (£6582) with a subsonic first class return, and London-Washington return was £2,426 (£8041) instead of £2,258 (£7484) subsonic. Research revealed that passengers thought that the fare was higher than it actually was, so the airline raised ticket prices to match these perceptions. It is reported that British Airways then ran Concorde at a profit. Its estimated operating costs were $3,800 per block hour in 1972, compared to actual 1971 operating costs of $1,835 for a 707 and $3,500 for a 747; for a 3,050 nmi London–New York sector, a 707 cost $13,750 or 3.04c per seat/nmi, a 747 $26,200 or 2.4c per seat/nmi and the Concorde $14,250 or 4.5c per seat/nmi. Between March 1984 and March 1991, British Airways flew a thrice-weekly Concorde service between London and Miami, stopping at Washington Dulles International Airport. Until 2003, Air France and British Airways continued to operate the New York services daily. From 1987 to 2003 British Airways flew a Saturday morning Concorde service to Grantley Adams International Airport, Barbados, during the summer and winter holiday season. Prior to the Air France Paris crash, several UK and French tour operators operated charter flights to European destinations on a regular basis; the charter business was viewed as lucrative by British Airways and Air France. In 1997, British Airways held a promotional contest to mark the 10th anniversary of the airline's move into the private sector. The promotion was a lottery to fly to New York held for 190 tickets valued at £5,400 each, to be offered at £10. Contestants had to call a special hotline to compete with up to 20 million people. Concorde's final flight: G-BOAF from Heathrow to Bristol, on 26 November 2003. The extremely high fineness ratio of the fuselage is evident. On 10 April 2003, Air France and British Airways simultaneously announced they would retire Concorde later that year. They cited low passenger numbers following the 25 July 2000 crash, the slump in air travel following the September 11 attacks, and rising maintenance costs: Airbus (the company that acquired Aerospatiale in 2000) had made a decision in 2003 to no longer supply replacement parts for the aircraft. 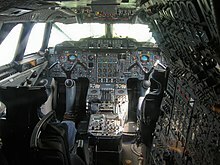 Although Concorde was technologically advanced when introduced in the 1970s, 30 years later, its analogue cockpit was outdated. There had been little commercial pressure to upgrade Concorde due to a lack of competing aircraft, unlike other airliners of the same era such as the Boeing 747. By its retirement, it was the last aircraft in the British Airways fleet that had a flight engineer; other aircraft, such as the modernised 747-400, had eliminated the role. It has been suggested that Concorde was not withdrawn for the reasons usually given but that it became apparent during the grounding of Concorde that the airlines could make more profit carrying first-class passengers subsonically. A lack of commitment to Concorde from Director of Engineering Alan MacDonald was cited as having undermined BA's resolve to continue operating Concorde. Other reasons why the attempted revival of Concorde never happened relate to the fact that the narrow fuselage did not allow for "luxury" features of subsonic air travel such as moving space, reclining seats and overall comfort. In the words of The Guardian's Dave Hall, "Concorde was an outdated notion of prestige that left sheer speed the only luxury of supersonic travel." Air France made its final commercial Concorde landing in the United States in New York City from Paris on 30 May 2003. Air France's final Concorde flight took place on 27 June 2003 when F-BVFC retired to Toulouse. An auction of Concorde parts and memorabilia for Air France was held at Christie's in Paris on 15 November 2003; 1,300 people attended, and several lots exceeded their predicted values. French Concorde F-BVFC was retired to Toulouse and kept functional for a short time after the end of service, in case taxi runs were required in support of the French judicial enquiry into the 2000 crash. The aircraft is now fully retired and no longer functional. French Concorde F-BTSD has been retired to the "Musée de l'Air" at Paris–Le Bourget Airport near Paris; unlike the other museum Concordes, a few of the systems are being kept functional. For instance, the famous "droop nose" can still be lowered and raised. This led to rumours that they could be prepared for future flights for special occasions. French Concorde F-BVFB is at the Auto & Technik Museum Sinsheim at Sinsheim, Germany, after its last flight from Paris to Baden-Baden, followed by a spectacular transport to Sinsheim via barge and road. The museum also has a Tupolev Tu-144 on display – this is the only place where both supersonic airliners can be seen together. In 1989, Air France signed a letter of agreement to donate a Concorde to the National Air and Space Museum in Washington D.C. upon the aircraft's retirement. On 12 June 2003, Air France honoured that agreement, donating Concorde F-BVFA (serial 205) to the Museum upon the completion of its last flight. This aircraft was the first Air France Concorde to open service to Rio de Janeiro, Washington, D.C., and New York and had flown 17,824 hours. It is on display at the Smithsonian's Steven F. Udvar-Hazy Center at Dulles Airport. BA Concorde G-BOAB in storage at London Heathrow Airport. This aircraft flew for 22,296 hours between its first flight in 1976 and its final flight in 2000. British Airways conducted a North American farewell tour in October 2003. G-BOAG visited Toronto Pearson International Airport on 1 October, after which it flew to New York's John F. Kennedy International Airport. G-BOAD visited Boston's Logan International Airport on 8 October, and G-BOAG visited Washington Dulles International Airport on 14 October. In a week of farewell flights around the United Kingdom, Concorde visited Birmingham on 20 October, Belfast on 21 October, Manchester on 22 October, Cardiff on 23 October, and Edinburgh on 24 October. Each day the aircraft made a return flight out and back into Heathrow to the cities, often overflying them at low altitude. On 22 October, both Concorde flight BA9021C, a special from Manchester, and BA002 from New York landed simultaneously on both of Heathrow's runways. On 23 October 2003, the Queen consented to the illumination of Windsor Castle, an honour reserved for state events and visiting dignitaries, as Concorde's last west-bound commercial flight departed London. British Airways retired its Concorde fleet on 24 October 2003. G-BOAG left New York to a fanfare similar to that given for Air France's F-BTSD, while two more made round trips, G-BOAF over the Bay of Biscay, carrying VIP guests including former Concorde pilots, and G-BOAE to Edinburgh. The three aircraft then circled over London, having received special permission to fly at low altitude, before landing in sequence at Heathrow. The captain of the New York to London flight was Mike Bannister. The final flight of a Concorde in the US occurred on 5 November 2003 when G-BOAG flew from New York's JFK Airport to Seattle's Boeing Field to join the Museum of Flight's permanent collection. The plane was piloted by Mike Bannister and Les Broadie, who claimed a flight time of three hours, 55 minutes and 12 seconds, a record between the two cities. The museum had been pursuing a Concorde for their collection since 1984. The final flight of a Concorde worldwide took place on 26 November 2003 with a landing at Filton, Bristol, UK. All of BA's Concorde fleet have been grounded, drained of hydraulic fluid and their airworthiness certificates withdrawn. 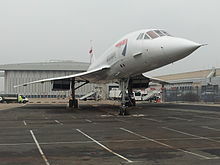 Jock Lowe, ex-chief Concorde pilot and manager of the fleet estimated in 2004 that it would cost £10–15 million to make G-BOAF airworthy again. BA maintain ownership and have stated that they will not fly again due to a lack of support from Airbus. On 1 December 2003, Bonhams held an auction of British Airways Concorde artefacts, including a nose cone, at Kensington Olympia in London. Proceeds of around £750,000 were raised, with the majority going to charity. G-BOAD is currently on display at the Intrepid Sea, Air & Space Museum in New York. In 2007, BA announced that the advertising spot at Heathrow where a 40% scale model of Concorde was located would not be retained; the model is now on display at the Brooklands Museum, in Surrey, England. Although only used for spares after being retired from test flying and trials work in 1981, Concorde G-BBDG was dismantled and transported by road from Filton then restored from essentially a shell at the Brooklands Museum in Surrey, where it remains open to visitors to the museum. Concorde G-BOAB, nicknamed Alpha Bravo, was never modified and returned to service with the rest of British Airways' fleet, and has remained at London Heathrow Airport since its final flight in 2000, a ferry flight from JFK. The aircraft has been moved around the apron at Heathrow several times, and can be regularly seen from other aircraft departing or arriving at the airport. G-BOAB is also occasionally used by BA for apprentice training. One of the youngest Concordes (F-BTSD) is on display at Le Bourget Air and Space Museum in Paris. In February 2010, it was announced that the museum and a group of volunteer Air France technicians intend to restore F-BTSD so it can taxi under its own power. In May 2010, it was reported that the British Save Concorde Group and French Olympus 593 groups had begun inspecting the engines of a Concorde at the French museum; their intent is to restore the airliner to a condition where it can fly in demonstrations. 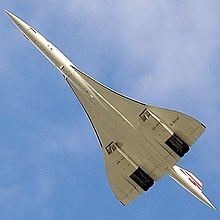 Save Concorde Group hoped to get F-BTSD flying for the 2012 London Olympics, but this never happened. The work for restoring F-BTSD to operating condition as of September 2015[update] is currently not very well known, and it is still being housed in Le Bourget as a museum exhibit. In 2015, the organisation Club Concorde announced that it had raised funds of £120 million for a static display and to buy the Concorde at Le Bourget, restore it and return it to service as a heritage aircraft for air displays and charter hire by 2019, to coincide with the 50th anniversary of Concorde's first flight. G-BOAF forms the centrepiece of the Aerospace Bristol museum at Filton, which opened to the public in 2017. The main obstacle to any Concorde project to date has been "Where's the money? "—a question we heard ad nauseam, until we found an investor. Now that money is no longer the problem it's over to those who can help us make it happen. Let's assume you could rip the whole thing apart and ultrasound the fuselage. There are thousands, many thousands of hydraulic seals on the airplane. … Every one of them would have to be remanufactured and replaced. [But] the manufacturing facilities are just not there. … And if you got them all together, what sort of testing regimen would be there? … It took seven years of flight testing to get it into service in the first place. On 25 July 2000, Air France Flight 4590, registration F-BTSC, crashed in Gonesse, France after departing from Paris-Charles de Gaulle en route to John F. Kennedy International Airport in New York City, killing all 100 passengers and 9 crew members on board the flight, and 4 people on the ground. It was the only fatal accident involving Concorde. According to the official investigation conducted by the Bureau d'Enquêtes et d'Analyses pour la Sécurité de l'Aviation Civile (BEA), the crash was caused by a metallic strip that had fallen from a Continental Airlines DC-10 that had taken off minutes earlier. This fragment punctured a tyre on Concorde's left main wheel bogie during take-off. The tyre exploded, and a piece of rubber hit the fuel tank, which caused a fuel leak and led to a fire. The crew shut down engine number 2 in response to a fire warning, and with engine number 1 surging and producing little power, the aircraft was unable to gain altitude or speed. The aircraft entered a rapid pitch-up then a sudden descent, rolling left and crashing tail-low into the Hôtelissimo Les Relais Bleus Hotel in Gonesse. The claim that a metallic strip caused the crash was disputed during the trial both by witnesses (including the pilot of then French President Jacques Chirac's aircraft that had just landed on an adjacent runway when Flight 4590 caught fire) and by an independent French TV investigation that found a wheel spacer had not been installed in the left-side main gear and that the plane caught fire some 1,000 feet from where the metallic strip lay. British investigators and former French Concorde pilots looked at several other possibilities that the BEA report ignored, including an unbalanced weight distribution in the fuel tanks and loose landing gear. They came to the conclusion that the Concorde veered off course on the runway, which reduced takeoff speed below the crucial minimum. John Hutchinson, who had served as a Concorde captain for 15 years with British Airways, said "the fire on its own should have been 'eminently survivable; the pilot should have been able to fly his way out of trouble'", had it not been for a "lethal combination of operational error and 'negligence' by the maintenance department of Air France" that "nobody wants to talk about". On 6 December 2010, Continental Airlines and John Taylor, a mechanic who installed the metal strip, were found guilty of involuntary manslaughter, but on 30 November 2012, a French court overturned the conviction, saying mistakes by Continental and Taylor did not make them criminally responsible. Prior to the accident, Concorde had been arguably the safest operational passenger airliner in the world in passenger deaths-per-kilometres travelled with zero, but there had been two prior non-fatal accidents and a rate of tyre damage some 30 times higher than subsonic airliners from 1995 to 2000. Safety improvements were made in the wake of the crash, including more secure electrical controls, Kevlar lining on the fuel tanks and specially developed burst-resistant tyres. 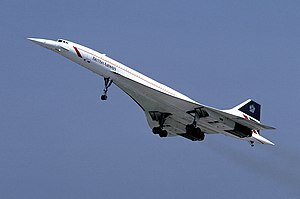 The first flight with the modifications departed from London Heathrow on 17 July 2001, piloted by BA Chief Concorde Pilot Mike Bannister. During the 3-hour 20-minute flight over the mid-Atlantic towards Iceland, Bannister attained Mach 2.02 and 60,000 ft (18,000 m) before returning to RAF Brize Norton. The test flight, intended to resemble the London–New York route, was declared a success and was watched on live TV, and by crowds on the ground at both locations. The first flight with passengers after the accident took place on 11 September 2001, landing shortly before the World Trade Center attacks in the US. This was not a commercial flight: all the passengers were BA employees. Normal commercial operations resumed on 7 November 2001 by BA and AF (aircraft G-BOAE and F-BTSD), with service to New York JFK, where Mayor Rudy Giuliani greeted the passengers. Concorde had suffered two previous non-fatal accidents that were similar to each other. 12 April 1989: A Concorde of British registration, G-BOAF, on a chartered flight from Christchurch, New Zealand, to Sydney, suffered a structural failure in-flight at supersonic speed. As the aircraft was climbing and accelerating through Mach 1.7 a "thud" was heard. The crew did not notice any handling problems, and they assumed the thud they heard was a minor engine surge. No further difficulty was encountered until descent through 40,000 feet at Mach 1.3, when a vibration was felt throughout the aircraft, lasting two to three minutes. Most of the upper rudder had become separated from the aircraft at this point. Aircraft handling was unaffected, and the aircraft made a safe landing at Sydney. The UK's Air Accidents Investigation Branch (AAIB) concluded that the skin of the rudder had been separating from the rudder structure over a period of time before the accident due to moisture seepage past the rivets in the rudder. Furthermore, production staff had not followed proper procedures during an earlier modification of the rudder, but the procedures were difficult to adhere to. The aircraft was repaired and returned to service. 21 March 1992: A Concorde of British registration, G-BOAB, on a scheduled flight from London to New York, also suffered a structural failure in-flight at supersonic speed. While cruising at Mach 2, at approximately 53,000 feet above mean sea level, the crew heard a "thump". No difficulties in handling were noticed, and no instruments gave any irregular indications. This crew also suspected there had been a minor engine surge. One hour later, during descent and while decelerating below Mach 1.4, a sudden "severe" vibration began throughout the aircraft. The vibration worsened when power was added to the No 2 engine, and it was attenuated when that engine's power was reduced. The crew shut down the No 2 engine and made a successful landing in New York, noting only that increased rudder control was needed to keep the aircraft on its intended approach course. Again, the skin had become separated from the structure of the rudder, which led to most of the upper rudder becoming separated in-flight. The (AAIB) concluded that repair materials had leaked into the structure of the rudder during a recent repair, weakening the bond between the skin and the structure of the rudder, leading to it breaking up in-flight. The large size of the repair had made it difficult to keep repair materials out of the structure, and prior to this accident, the severity of the effect of these repair materials on the structure and skin of the rudder was not appreciated. The 2010 trial involving Continental Airlines over the crash of Flight 4590 established that from 1976 until Flight 4590 there had been 57 tyre failures involving Concordes during takeoffs, including a near-crash at Dulles Airport on 14 June 1979 involving Air France Flight 54 where a tyre blowout pierced the plane's fuel tank and damaged the port-side engine and electrical cables, with the loss of two of the craft's hydraulic systems. Of the 20 aircraft built, 18 remain in good condition. Many are on display at museums in the United Kingdom, France, the United States, Germany and Barbados. The only supersonic airliner in direct competition with Concorde was the Soviet Tupolev Tu-144, nicknamed "Concordski" by Western European journalists for its outward similarity to Concorde. It had been alleged that Soviet espionage efforts had resulted in the theft of Concorde blueprints, supposedly to assist in the design of the Tu-144. As a result of a rushed development programme, the first Tu-144 prototype was substantially different from the preproduction machines, but both were cruder than Concorde. The Tu-144S had a significantly shorter range than Concorde. Jean Rech, Sud Aviation, attributed this to two things, a very heavy powerplant with an intake twice as long as that on Concorde, and low-bypass turbofan engines with too-high a bypass ratio which needed afterburning for cruise. 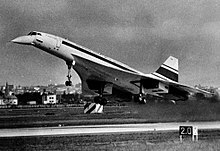 The aircraft had poor control at low speeds because of a simpler supersonic wing design; in addition the Tu-144 required braking parachutes to land while Concorde used anti-lock brakes. The Tu-144 had two crashes, one at the 1973 Paris Air Show, and another during a pre-delivery test flight in May 1978. Later production Tu-144 versions were more refined and competitive. They had retractable canards for better low-speed control, turbojet engines providing nearly the fuel efficiency and range of Concorde and a top speed of Mach 2.35. Passenger service commenced in November 1977, but after the 1978 crash the aircraft was taken out of passenger service after only 55 flights, which carried an average of 58 passengers. The aircraft had an inherently unsafe structural design as a consequence of an automated production method chosen to simplify and speed up manufacturing. The American designs, the "SST" project (for Supersonic Transport) were the Boeing 2707 and the Lockheed L-2000. These were to have been larger, with seating for up to 300 people. Running a few years behind Concorde, the Boeing 2707 was redesigned to a cropped delta layout; the extra cost of these changes helped to kill the project. The operation of US military aircraft such as the Mach 3+ North American XB-70 Valkyrie prototypes and Convair B-58 Hustler strategic nuclear bomber had shown that sonic booms were quite capable of reaching the ground, and the experience from the Oklahoma City sonic boom tests led to the same environmental concerns that hindered the commercial success of Concorde. The American government cancelled its SST project in 1971, after having spent more than $1 billion. The only other large supersonic aircraft comparable to Concorde are strategic bombers, principally the Russian Tu-22, Tu-22M, M-50 (experimental), T-4 (experimental), Tu-160 and the American XB-70 (experimental) and B-1. Before Concorde's flight trials, developments in the civil aviation industry were largely accepted by governments and their respective electorates. Opposition to Concorde's noise, particularly on the east coast of the United States, forged a new political agenda on both sides of the Atlantic, with scientists and technology experts across a multitude of industries beginning to take the environmental and social impact more seriously. Although Concorde led directly to the introduction of a general noise abatement programme for aircraft flying out of John F. Kennedy Airport, many found that Concorde was quieter than expected, partly due to the pilots temporarily throttling back their engines to reduce noise during overflight of residential areas. Even before commercial flights started, it had been claimed that Concorde was quieter than many other aircraft. 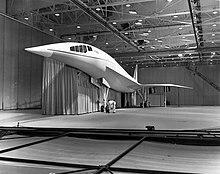 In 1971, BAC's technical director was quoted as saying, "It is certain on present evidence and calculations that in the airport context, production Concordes will be no worse than aircraft now in service and will in fact be better than many of them." Concorde produced nitrogen oxides in its exhaust, which, despite complicated interactions with other ozone-depleting chemicals, are understood to result in degradation to the ozone layer at the stratospheric altitudes it cruised. It has been pointed out that other, lower-flying, airliners produce ozone during their flights in the troposphere, but vertical transit of gases between the layers is restricted. The small fleet meant overall ozone-layer degradation caused by Concorde was negligible. In 1995, David Fahey, of the National Oceanic and Atmospheric Administration in the United States, warned that a fleet of 500 supersonic aircraft with exhausts similar to Concorde might produce a 2 percent drop in global ozone levels, much higher than previously thought. Each 1 percent drop in ozone is estimated to increase the incidence of non-melanoma skin cancer worldwide by 2 percent. Dr Fahey said if these particles are produced by highly oxidised sulphur in the fuel, as he believed, then removing sulphur in the fuel will reduce the ozone-destroying impact of supersonic transport. Concorde's technical leap forward boosted the public's understanding of conflicts between technology and the environment as well as awareness of the complex decision analysis processes that surround such conflicts. In France, the use of acoustic fencing alongside TGV tracks might not have been achieved without the 1970s controversy over aircraft noise. In the UK, the CPRE has issued tranquillity maps since 1990. Some sources say Concorde typically flew 17 miles per U.S. gallon (14 L/100 km; 20 mpg‑imp) per passenger. Concorde was normally perceived as a privilege of the rich, but special circular or one-way (with return by other flight or ship) charter flights were arranged to bring a trip within the means of moderately well-off enthusiasts. As a symbol of national pride, an example from the BA fleet made occasional flypasts at selected Royal events, major air shows and other special occasions, sometimes in formation with the Red Arrows. On the final day of commercial service, public interest was so great that grandstands were erected at Heathrow Airport. Significant numbers of people attended the final landings; the event received widespread media coverage. In 2006, 37 years after its first test flight, Concorde was announced the winner of the Great British Design Quest organised by the BBC and the Design Museum. A total of 212,000 votes were cast with Concorde beating other British design icons such as the Mini, mini skirt, Jaguar E-Type, Tube map, the World Wide Web, K2 telephone box and the Supermarine Spitfire. The Queen and The Duke of Edinburgh disembark Concorde in 1991. The heads of France and the United Kingdom flew Concorde many times. Presidents Georges Pompidou, Valéry Giscard d'Estaing and François Mitterrand regularly used Concorde as French flagman aircraft in foreign visits. Queen Elizabeth II and Prime Ministers Edward Heath, Jim Callaghan, Margaret Thatcher, John Major and Tony Blair took Concorde in some charter flights such as the Queen's trips to Barbados on her Silver Jubilee in 1977, in 1987 and in 2003, to the Middle East in 1984 and to the United States in 1991. Pope John Paul II flew on Concorde in May 1989. Concorde sometimes made special flights for demonstrations, air shows (such as the Farnborough, Paris-LeBourget, Oshkosh AirVenture and MAKS air shows) as well as parades and celebrations (for example, of Zürich airport's anniversary in 1998). The aircraft were also used for private charters (including by the President of Zaire Mobutu Sese Seko on multiple occasions), for advertising companies (including for the firm OKI), for Olympic torch relays (1992 Winter Olympics in Albertville) and for observing solar eclipses, including the solar eclipse of June 30, 1973 and again for the total solar eclipse on August 11, 1999. The fastest transatlantic airliner flight was from New York JFK to London Heathrow on 7 February 1996 by the British Airways G-BOAD in 2 hours, 52 minutes, 59 seconds from take-off to touchdown aided by a 175 mph (282 km/h) tailwind. On 13 February 1985, a Concorde charter flight flew from London Heathrow to Sydney—on the opposite side of the world—in a time of 17 hours, 3 minutes and 45 seconds, including refuelling stops. Concorde also set other records, including the official FAI "Westbound Around the World" and "Eastbound Around the World" world air speed records. On 12–13 October 1992, in commemoration of the 500th anniversary of Columbus' first New World landing, Concorde Spirit Tours (US) chartered Air France Concorde F-BTSD and circumnavigated the world in 32 hours 49 minutes and 3 seconds, from Lisbon, Portugal, including six refuelling stops at Santo Domingo, Acapulco, Honolulu, Guam, Bangkok, and Bahrain. The eastbound record was set by the same Air France Concorde (F-BTSD) under charter to Concorde Spirit Tours in the US on 15–16 August 1995. This promotional flight circumnavigated the world from New York/JFK International Airport in 31 hours 27 minutes 49 seconds, including six refuelling stops at Toulouse, Dubai, Bangkok, Andersen AFB in Guam, Honolulu, and Acapulco. By its 30th flight anniversary on 2 March 1999 Concorde had clocked up 920,000 flight hours, with more than 600,000 supersonic, many more than all of the other supersonic aircraft in the Western world combined. On its way to the Museum of Flight in November 2003, G-BOAG set a New York City-to-Seattle speed record of 3 hours, 55 minutes, and 12 seconds. Due to the restrictions on supersonic overflights within the US the flight was granted permission by the Canadian authorities for the majority of the journey to be flown supersonically over sparsely-populated Canadian territory. Barbara Harmer, the first qualified female Concorde pilot. ^ In particular, R. T. Jones' work at NACA demonstrated this in depth. ^ Consider especially the English Electric Lightning, whose wing can be considered either a highly swept rectangle, or a delta with a notch cut out of the root. ^ Or, more rarely, "bent" back into position. Examples include the Douglas DC-3 and Messerschmitt Me 262. ^ This apparently took place some time in 1957, according to Conway's unclear statement about "the following year" which apparently references the first STAC meeting in late 1956. ^ Quote: "Airbus, the manufacturer of Concorde, has said it is becoming uneconomic to maintain the ageing craft and that it will no longer provide spare parts for it." ^ concorde s.f. concord, unity, harmony, peace. ^ Quote: Raymond Baxter commentating as Concorde flies for first time: "She rolls ... She flies!" ^ BA and Air France Concordes originally had 100 seats. Due to weight considerations Air France removed 8 seats after the safety modifications of CY2000–2001. ^ a b Lawless, Jill (26 October 2003). "Final Concorde flight lands at Heathrow". Washington Post. Associated Press. ^ Towey 2007, p. 359. ^ "Ageing luxury jet". BBC News. 25 July 2000. ^ Marston, Paul (16 August 2000). "Is this the end of the Concorde dream?". The Daily Telegraph. London. ^ a b United Kingdom Gross Domestic Product deflator figures follow the Measuring Worth "consistent series" supplied in Thomas, Ryland; Williamson, Samuel H. (2018). "What Was the U.K. GDP Then?". MeasuringWorth. Retrieved 5 January 2018. ^ "Airliner price index". Flight International. 10 August 1972. p. 183. ^ Thomas, Ryland; Williamson, Samuel H. (2019). "What Was the U.S. GDP Then?". MeasuringWorth. Retrieved 6 April 2019. United States Gross Domestic Product deflator figures follow the Measuring Worth series. ^ Melik-Karamov [Мелик-Карамов], Vitaly [Виталий] (January 2000). "Life and Death of the Tu-144, [Жизнь и смерть самолёта Ту-144]". No. 3. Flame [Огонёк]. Archived from the original on 15 November 2000. ^ "Concorde", BBC Timewatch documentary, 2003, By 1962, the cost estimates had already soared from 70 to 150 million pounds." "[By 1964], costs had doubled yet again to nearly 300 million pounds." ^ Other estimates of total program cost exceeded £2 billion. "The program's cost, through March 1976, was put at between 1.5 and 2.1 billion in 1976 pounds sterling, or between 3.6 and 5.1 billion in 1977 U.S. dollars (yearly weighted exchange rates)." ^ In Concorde (BBC Timewatch, 2003) Chris Benjamin, Concorde Administrator (UK) 1971–74 said: "It's really a matter of great regret that an enormous amount of creativity, effort and resources were used to produce this aeroplane which has actually no sustainable benefit at all." ^ "Concorde grounded for good". BBC News. 10 April 2003. Retrieved 15 June 2013. ^ Owen 2001, p. 35. ^ a b c d e f g h Conway 2005, p. 67. ^ a b c Maltby, R.L. "The development of the slender delta concept". Aircraft Engineering. 40, 1968. Archived from the original on 26 May 2013. ^ a b c Green, John (12 January 2015). "Obituary: Dr Johanna Weber". Royal Aeronautical Society. ^ Conway 2005, p. 39. ^ Winchester 2005b, p. 134. ^ Conway 2005, p. 68. ^ a b c Conway 2005, p. 69. ^ a b Owen 2001, p. 40. ^ J. S. Thompson and R. A. Fail, "Measurements of Oscillatory Derivatives at Mach Numbers up to 2.6 on a Model of a Supersonic Transport Design Study (Bristol Type 198)", RAE Bedford, 1964. ^ a b Conway 2005, p. 70. ^ Owen 2001, p. 49. ^ Owen 2001, p. 47. ^ Owen 2001, p. 41. ^ Owen 2001, p. 50. ^ a b c Conway 2005, p. 71. ^ a b Conway 2005, p. 66. ^ a b c "Early History." concordesst.com. Retrieved 8 September 2007. ^ "Supersonic Concorde unveiled". Milwaukee Sentinel. Associated Press. 12 December 1967. p. 3, part 1. ^ Benn, Tony (17 October 2003). "Sonic booms and that 'e' on the end: Tony Benn remembers his role in getting Concorde off the ground". The Guardian. London. ^ McIntyre 1992, p. 20. ^ Note this British convention is used throughout this article: "In depth: Farewell to Concorde". BBC News. 15 August 2007. ^ "About Concorde – main page". British Airways. Retrieved 11 January 2010. ^ "concorde – 2003–2360 – Flight Archive". Flight International. Reed Business Information. ^ "Concorde Special – Flawed Icon". Flight Global. Reed Business Information. 21 October 2003. ^ a b "Concordes limited to 16". Virgin Islands Daily News. 5 June 1976. ^ Ross 1978, pp. 47–49. ^ Ross 1978, p. 49. ^ Gunn 2010, p. 45. ^ "Aerospace: Pan Am's Concorde Retreat". Time. 12 February 1973. ^ "Vertrag mit Luken". Der Spiegel. 13 March 1967. Retrieved 6 November 2012. ^ Taylor 1965, p. 130. ^ Winchester 2005a, p. 134. ^ "Pilot Says Concorde Flight "Perfect"". Montreal Gazette. 1 March 1969. Retrieved 30 June 2011. ^ "Concorde Tops Speed of Sound for 9 Minutes on a Test Flight". The New York Times. 2 October 1969. ^ "1969: Concorde flies for the first time". BBC News. 2 March 1969. Retrieved 8 July 2007. ^ Rohrbach, Edward (10 April 1969). "Concorde 002 Makes 1st Flight". Chicago Tribune. Retrieved 30 June 2011. ^ "Concorde 001 Makes Its First Atlantic Crossing". Chicago Tribune. 5 September 1971. Retrieved 30 June 2011. ^ "Anglo-French Concorde Lands in Brazil to begin Week of Demonstration Flights". Bangor Daily News. 7 September 1971. ^ Stern, Michael (3 June 1972). "Concorde Prototype Begins 10-Nation Tour; Britain Shows Optimism For Supersonic Aircraft". The New York Times. Retrieved 30 June 2011. ^ Witkin, Richard (21 September 1973). "A Supersonic Concorde Lands in Texas". The New York Times. Retrieved 30 June 2011. ^ "Payments for Concorde". British Airways. Retrieved 2 December 2009. ^ "Malaysia lifting ban on the use of its Airspace by the Concorde". The New York Times. 17 December 1978. Retrieved 30 June 2011. ^ "News from around the world". Herald-Journal. 13 January 1978. Retrieved 30 June 2011. ^ Ross 1978, p. 46. ^ "Concorde SST: Development Fleet: 01. G-AXDN". concordesst.com. Retrieved 19 January 2016. ^ a b Favre, C. (1996). Mark B. Tischler (ed.). Advances in aircraft flight control. CRC Press. p. 219. ISBN 978-0-7484-0479-7. ^ Masefield, Peter (1 July 1995). "Obituary: Sir Archibald Russell". The Independent. UK. ^ a b c d e f g "NOVA transcript: Supersonic Dream". PBS. 18 January 2005. JOCK LOWE (Concorde Chief Pilot): We did some research which showed that the Concorde passengers actually didn't know how much the fare was. When we asked them to guess how much it was, they guessed that it was higher than it actually was, so we just started to charge them what they thought they were paying anyway. ^ "Rolls-Royce Snecma Olympus". Janes. 25 July 2000. Archived from the original on 6 August 2010. ^ a b Frawley 2003, p. 14. ^ "Unified propulsion 8". MIT. Retrieved 8 December 2010. ^ "Concorde – Choice of a light alloy for the construction of the first supersonic commercial aircraft". Revue de l'Aluminium (316): 111–119. March 1964. Archived from the original on 22 August 2012. ^ Wolfe, B.S. (1967). "The Concorde Automatic Flight Control System: A description of the automatic flight control system for the Anglo/French SST and its development to date". Aircraft Engineering and Aerospace Technology. 39 (5): 40. doi:10.1108/eb034268. ISSN 0002-2667. ^ Schefer, L.J. "Concorde has designed-in reliability". Hydraulics and Pneumatics. 29, 1976: 51–55. Archived from the original on 23 August 2012. ^ Collard, D. "Concorde Airframe Design and Development" (PDF). Swiss Association of Aeronautical Services. Archived from the original (PDF) on 9 March 2003. Retrieved 19 January 2016. ^ Owen 2001, p. 101. ^ "Aircraft Stopping Systems". Aircraft Engineering and Aerospace Technology. 47 (10): 18. 1975. doi:10.1108/eb035278. ISSN 0002-2667. ^ Turner, H.G. (1971). "Fuel Management for Concorde: A brief account of the fuel system and the fuel pumps developed for the aircraft". Aircraft Engineering and Aerospace Technology. 43 (3): 36–39. doi:10.1108/eb034738. ISSN 0002-2667. ^ "British Contribution to Concord Production in France". Aircraft Engineering and Aerospace Technology. 36 (8): 232–237. 1964. doi:10.1108/eb033911. ISSN 0002-2667. ^ Owen 2001, p. 206. ^ Birtles, Philip. Concorde, pp. 62–63. Vergennes, Vermont: Plymouth Press, 2000. ISBN 1-882663-44-6. ^ Parker, R. (2016). "Aircraft engines: a proud heritage and an exciting future". The Aeronautical Journal. 120 (1223): 131–169. doi:10.1017/aer.2015.6. ^ "SAE International -- mobility engineering". Papers.sae.org. Archived from the original on 1 August 2017. Retrieved 21 December 2017. ^ Ganley, G.; G. Laviec (1989). "The Rolls Royce/SNECMA Olympus 593 engine operational experience and the lessons learned". European Symposium on the Future of High Speed Air Transport: 73–80. Archived from the original on 21 September 2011. Retrieved 30 June 2011. ^ Lynam, Joe (19 July 2006). "Are the skies turning green?". BBC News. ^ Ganley, G. A. (September 1991). "Concorde Propulsion—Did we get it right? The Rolls-Royce/Snecma Olympus 593 Engine reviewed". SAE International. ^ "Concorde Special – The test pilot – John Cochrane". Flight International. 21 October 2003. ^ Woodman, Peter (27 July 2000). "How a Concorde pilot would handle a nightmare failure". Birmingham Post. Archived from the original on 7 February 2012. ^ Page, N.; Dale, R. S.; Nelson, N. (8 May 1975). "Engine intake-control" (PDF). Flight: 742–743. ^ "1976 | 1835 | Flight Archive". Flightglobal.com. 4 September 1976. Retrieved 15 June 2013. ^ Dalton, Alastair. "Supersonic: The enduring allure of Concorde". Scotsman.com, 17 July 2012. ^ Eberhart, Jonathan (3 June 1967). "When the SST Is Too Slow.". Science News. 91 (22): 528–529. doi:10.2307/3951418. JSTOR 3951418. ^ "The Concorde takes shape: Test programme and construction proceeding according to schedule". Aircraft Engineering and Aerospace Technology. 38 (4): 38. 1966. doi:10.1108/eb034143. ISSN 0002-2667. ^ N'guyen, V.P. ; J.P. Perrais (1972). "Fatigue Tests on Big Structure Assemblies of Concorde Aircraft". Advanced Approaches to Fatigue Evaluation. NASA SP-309. 309: 631. Bibcode:1972NASSP.309..631N. ^ "concorde – 1967–2250 – Flight Archive". flightglobal.com. ^ Wallace, James (7 November 2003). "Those who flew the Concorde will miss it". Seattle Post. ^ Gedge, G.T. ; M.I. Prod (1993). "Introduction to Concorde: A brief review of the Concorde and its prospects". Aircraft Engineering and Aerospace Technology. 40 (3). ^ Owen 2001, p. 14. ^ "1967 | 0821 | Flight Archive". Flightglobal.com. Retrieved 15 June 2013. ^ "Is this the colour of the new millennium?". The Independent. UK. 3 April 1996. Archived from the original on 16 May 2013. ^ Frade, Cristina (5 April 1996). "Azul contra rojo". El Mundo. ^ Owen 2001, p. 78. ^ Kocivar, Ben. "Aboard the Concorde SST." Popular Science, October 1973, p. 117. ^ a b "Flight Refuelling Limited and Concorde: The fuel system aboard is largely their work". Aircraft Engineering and Aerospace Technology. 48 (9): 20–21. September 1976. doi:10.1108/eb035344. ISSN 0002-2667. ^ "Celebrating Concorde". British Airways. Retrieved 19 January 2016. ^ "CONCORDE SST: CONCORDE B". concordesst.com. ^ Strack, William (1987). "Propulsion challenges and opportunities for high-speed transport aircraft". Aeropropulsion: 437–452. Archived from the original on 21 September 2011. Retrieved 30 June 2011. ^ Smale, Alison (22 September 1979). "Fuel costs kill Second Generation of Concordes". Sarasota Herald-Tribune. ^ "How much radiation might I be exposed to?". British Airways. Retrieved 11 January 2010. ^ a b Guerin, D.W. (1973). "Electronic safety test replaces radioactive test source". Aircraft Engineering and Aerospace Technology. 45 (4): 10. doi:10.1108/eb035011. ISSN 0002-2667. ^ "Skin cancer danger linked to stratospheric jet planes". St. Petersburg Times. 1 April 1975. ^ "Cosmic radiation". British Airways. Retrieved 11 January 2010. ^ Arctowski, Henryk (1940). "On Solar Faculae and Solar Constant Variations" (PDF). Proceedings of the National Academy of Sciences. 26 (6): 406–411. Bibcode:1940PNAS...26..406A. doi:10.1073/pnas.26.6.406. PMC 1078196. PMID 16588370. ^ Hepburn, A.N. (1967). "Human Factors in the Concorde" (PDF). Occupational Medicine. 17 (2): 47–51. doi:10.1093/occmed/17.2.47. ^ Flight Training Handbook. U.S. Dept. of Transportation, Federal Aviation Administration, Flight Standards Service, 1980. 1980. p. 250. ^ Wolff, Mark (6 January 2006). "Cabin Decompression and Hypoxia". PIA Air Safety Publication. ^ a b Nunn 1993, p. 341. ^ Happenny, Steve (24 March 2006). "Interim Policy on High Altitude Cabin Decompression – Relevant Past Practice". Federal Aviation Administration. ^ Schrader 1989, p. 64. ^ Orlebar 2004, p. 84. ^ Orlebar 2004, p. 92. ^ Orlebar 2004, p. 44. ^ Schrader 1989, p. 84. ^ Orlebar 2004, p. 110. ^ Concorde – The World's Greatest Airliner Part 3/4. YouTube. 19 January 2013. ^ Rose, David (13 May 2001). "The real story of Flight 4590: Special Investigation". iasa.com.au. ^ Stimson, I.L. ; R. Fisher (January 1980). "Design and Engineering of Carbon Brakes". Philosophical Transactions of the Royal Society of London. 294 (1411): 583–590. Bibcode:1980RSPTA.294..583S. doi:10.1098/rsta.1980.0068. JSTOR 36383. ^ Owen 2001, p. 118. ^ "Concorde takes off from Cardiff". BBC. Retrieved 19 January 2016. ^ a b c "Droop nose". Flight International. 12 August 1971. pp. 257–258. ^ Owen 2001, p. 84. ^ "Triplex in Concorde: The story behind the film". Flightglobal.com, 1968. Retrieved 7 June 2011. ^ Chris Hatherill (9 March 2016). "When Astronomers Chased a Total Eclipse in a Concorde". Motherboard. Vice. ^ Strang, Dr. W.J; R. McKinley (1978). "Concorde in Service". Aircraft Engineering and Aerospace Technology. 50 (12): 2–10. doi:10.1108/eb035500. ISSN 0002-2667. ^ "BA Tribute to Concorde. The takeoff scene at the end of the video contains a clip of the ATC communication with the "Speedbird Concorde"". British Airways. Archived from the original on 31 May 2010. Retrieved 11 January 2010. ^ Donin, Robert B (1976). "Safety Regulation of the Concorde Supersonic Transport: Realistic Confinement of the National Environmental Policy Act". HeinOnline. Retrieved 30 June 2011. ^ Chandrasekaran, Rajiv (9 November 1994). "Last liftoff: Concorde departs Dulles for good". The Washington Post. Retrieved 8 January 2018. ^ O'Grady, Jim (27 April 2003). "Neighborhood Report: The Rockaways; Ears Ringing? It's Cheering Over the Demise Of the Concorde". The New York Times. Retrieved 30 June 2011. ^ "The Nation: Smooth Landing for the Birds". Time. 5 December 1977. Retrieved 30 June 2011. ^ "Concorde facts and figures". British Airways. Retrieved 11 January 2010. ^ Warneke, Ross (25 October 1977). "Concorde by June: Offer to Qantas". The Age. Australia. ^ a b "Singapore Concorde flights". The New York Times. 14 October 1977. Retrieved 30 June 2011. ^ "London and Singapore halt Concorde service". The New York Times. 17 December 1977. Retrieved 30 June 2011. ^ "Concorde route cut". Montreal Gazette. 16 September 1980. Retrieved 30 June 2011. ^ "French Concorde to Mexico City". Daytona Beach Morning Journal. 11 August 1978. Retrieved 30 June 2011. ^ "Supersonic Jet flights suspended". Daytona Beach Morning Journal. 27 September 1982. Retrieved 30 June 2011. ^ Cramoisi, George (2010). Air Crash Investigations: The End of the Concorde Era, the Crash of Air France Flight 4590. Lulu. p. 510. ISBN 978-0-557-84950-5. ^ Getze, John (10 February 1977). "Braniff seeks deal to fly Concorde in U.S". Los Angeles Times. ^ "Concorde flights to Texas Ok'd". Los Angeles Times. 22 June 1978. Retrieved 30 June 2011. ^ "Concorde now reaping profits on N.Y. route". The Spokesman-Review. 23 November 1979. Retrieved 30 June 2011. ^ a b "Braniff to halt US Concorde flights". Milwaukee Journal. 16 April 1980. Retrieved 30 June 2011. ^ "Concorde flights between Texas and Europe end; Big Dreams at the start, $1,447 for flight to Paris". The New York Times. 1 June 1980. Retrieved 30 June 2011. ^ "B.CAL appoints Concorde consultant". Flight International, 24 March 1979, p. 881. ^ "Caledonian reports best results". Flight International, 12 May 1979, p. 1547. ^ "New job for B.CAL Concorde man". Flight International, 21 July 1979, p. 158. ^ a b "B.CAL to lease unsold Concorde?". Flight International, 24 February 1979, p. 517. ^ a b c "Tories support B.CAL's Concorde plan". Flight International, 14 April 1979, p. 1132. ^ a b World News. Flight International, 28 April 1979, p. 1286. ^ High Risk: The Politics of the Air, Thomson, A., Sidgwick and Jackson, London, 1990, pp. 316–317. ^ a b c B.CAL drops Concorde plans but asks for Hong Kong licence. Flight International, 30 June 1979, p. 2331. ^ "BCAL's African Profit..." Flight: 994. 23 December 1971. ^ "The Caledonian punchbag", Flight International, 21 March 1987, p. 33. ^ a b c "1979 – 1007 – Flight Archive". flightglobal.com. ^ "1979 – 1711 – Flight Archive". flightglobal.com. ^ Greenberg, Peter (1 April 1984). "The plane fact is, Concorde has broken the profit barrier for the first time". Chicago Tribune. Retrieved 30 June 2011. ^ "Concorde fares anger Pan Am". Flight International. 7 January 1984. p. 3. ^ "Pan American World Airways Tuesday charged the British government..." UPI. 27 December 1983. Retrieved 3 February 2019. ^ "British Airways". The New York Times. 29 December 1983. Retrieved 3 February 2019. ^ David Kamp (October 2003). "Hooked On Supersonics". Vanity Fair. ^ "The Concorde belies those who foresaw its extinction". The Philadelphia Inquirer. 26 January 1986. Retrieved 30 June 2011. ^ Arnold, James (10 October 2003). "Why economists don't fly Concorde". BBC News. ^ Peter G. Masefield (10 August 1972). "Can Concorde make a profit?". Flight International. pp. 214–216. ^ "Concorde to fly Miami-London route". Miami Herald. 24 January 1984. Retrieved 30 June 2011. ^ "Cuts ground Concorde from Miami to London". Miami Herald. 13 January 1991. Retrieved 30 June 2011. ^ Jensen, Gregory (27 March 1984). "After eight years, the Concorde flies to supersonic profit". Reading Eagle. ^ Calder, Simon. "Concorde and supersonic travel: the days when the sun rose in the west". The Independent. Retrieved 8 January 2018. ^ Greenberg, Peter S. (23 June 1985). "Flying via charter off to New Bustle". Los Angeles Times. ^ Clark, Jay (18 January 1986). "Supersonic Concorde 10 years in service and still confounding critics". Toronto Star. ^ "Concorde money is in charters". Flight International. 25 January 1986. Retrieved 30 June 2011. ^ "I beat 20 m to land last pounds 10 seats on Concorde; Joe grabs bargain of a lifetime." Scottish Daily Record & Sunday (Glasgow, Scotland), 13 February 1997. Retrieved: 13 November 2012. ^ "Concorde grounded for good". BBC News. 10 April 2003. Retrieved 30 June 2011. ^ Macdonald, Ian S. (1980). "New Aircraft: Where are we heading in the 1980s and 1990s". Aircraft Engineering and Aerospace Technology. 52 (7): 13–17. doi:10.1108/eb035646. ISSN 0002-2667. ^ a b Michaels, Danial (2 October 2003). "Final Boarding Call: As Concorde Departs, so do 3-Man Crews: In New Cockpits, Engineers are seen as Extra Baggage". The Wall Street Journal. ^ "Concorde not for sale, says BA". CNN. 11 April 2003. Retrieved 2 June 2013. ^ Armstrong, David (11 April 2003). "Fabled Concorde to fly off into sunset / British, French airlines to retire supersonic jet". San Francisco Chronicle. Retrieved 2 June 2013. ^ "Virgin Increases Concorde Bid". Space Daily. AFP. ^ "Branson increases offer for Concorde". The Daily Telegraph. London. 22 June 2003. Retrieved 2 June 2013. ^ Montague, Simon (6 May 2003). "Branson's Concorde bid rejected". BBC News. ^ "Branson accuses 'sad' Government of washing its hands of Concorde". Western Mail. 24 October 2003. Retrieved 30 June 2011. ^ "Concorde not to fly at air shows". CNN. 30 October 2003. Retrieved 30 June 2011. ^ Simpkins, Edward (15 June 2003). "Buffett vehicle to follow in Concorde's slipstream". The Daily Telegraph. London. ^ "Concorde: An Untimely and Unnecessary Demise". Travel Insider. 2003. Retrieved 13 January 2010. ^ Pevsner, Donald L. "The Betrayal of Concorde". Concorde Spirit Tours. Retrieved 13 January 2010. ^ a b Hall, Dave (5 June 2018). "Supersonic flight: will it ever rise out of the ashes of Concorde?". the Guardian. Retrieved 7 June 2018. ^ Lemel, Laurent (30 May 2003). "Concorde makes Final Flight from Paris to New York". Associated Press. ^ "French Concorde bids adieu". BBC News. 31 May 2003. ^ "Jetting off". Daily Mirror. 28 June 2003. Archived from the original on 4 November 2012. Retrieved 30 June 2011. ^ "3,500 due at UK Concorde auction". BBC News. 30 November 2003. ^ "Miscellaneous brief articles – Business & Industry". Flight International. Retrieved 30 June 2011. ^ "Pourquoi n'a-t-on pas sauvé le Concorde?". TourMag.com. 24 March 2010. Retrieved 30 June 2011. ^ a b Webster, Ben (31 May 2006). "This is not a flight of fancy: Volunteers say Concorde can realise an Olympic dream if BA will help". The Times. 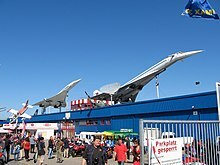 ^ "Museum Sinsheim". Museum Sinsheim. Archived from the original on 12 May 2010. Retrieved 26 June 2010. ^ "Concorde, Fox Alpha, Air France". Smithsnian National Air and Space Museum. Retrieved 19 January 2016. ^ Atchison, Marc (2 October 2003). "Concorde's supersonic swan song; Star writer aboard for jet's farewell trip to Toronto Transatlantic sound-breaker a vision of grace". Toronto Star. ^ Ramstack, Tom (15 October 2003). "Final flight: British Airways Concorde lands locally for last time". The Washington Post. Archived from the original on 20 January 2012. ^ "Last Concorde lands". BBC News. 27 November 2003. Retrieved 30 June 2011. ^ "Concorde enjoys Cardiff farewell". BBC News. 23 October 2003. ^ "Concorde – The Farewell – A collection of the final flights of the last days of Concorde". Simply Media. 19 April 2004. Retrieved 30 June 2011. ^ Magoolaghan, Brian (31 October 2003). "The Concorde Makes A Comeback". Wave of Long Island. Archived from the original on 15 June 2011. Retrieved 30 June 2011. ^ "End of an era for Concorde". BBC News. 24 October 2003. ^ "Thousands welcome Concorde to Seattle". Seattle Post-Intelligencer. ^ Robert Bogash. "Concorde". rbogash.com. ^ "BBC News: Last Concorde lands". BBC News. 27 November 2003. ^ "Will Concorde ever come out of retirement – e.g. for a Coronation flypast or airshows?". British Airways. Retrieved 14 January 2010. ^ "Concorde nose cone sells for half-million at auction". USA Today. 2 December 2003. Retrieved 30 June 2011. ^ "Concorde Memorabilia Auction". Getty Images. 1 December 2003. Archived from the original on 4 November 2012. Retrieved 30 June 2011. ^ "Exhibits: Concorde". 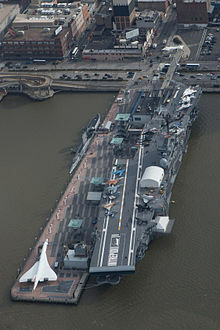 Intrepidmuseum.org. Retrieved 6 March 2011. ^ "Heathrow Concorde model removed". BBC News. 30 March 2007. ^ "The Brooklands Concorde Project". Brooklands Museum. Retrieved 15 January 2010. ^ "G-BOAB (208)". Heritage Concorde. Retrieved 11 November 2018. ^ "Air France Concorde to taxi again under own power". FlightGlobal. 5 February 2010. Retrieved 5 February 2010. ^ "Work starts in £15m plan to get Concorde Flying". BBC News. 29 May 2010. Retrieved 29 May 2010. ^ "Group Plans To Fly Concorde By 2019". avweb.com. ^ a b Coldwell, Will (18 September 2015). "Supersonic breakthrough: Concorde could fly again within four years". The Guardian. Retrieved 18 September 2015. ^ "Concorde's history". Aerospace Bristol. Retrieved 1 April 2018. ^ "The Revival of Concorde". Telegraph. Retrieved 19 January 2016. ^ "Potential Return to Flight Project". Club Concorde. Archived from the original on 3 February 2016. Retrieved 19 January 2016. ^ "The Concorde May Never Fly Again. Here's Why". Gear Patrol. ^ Endres 2001, pp. 110–113. ^ "What Price Supersonic Grandeur?". 28 March 2016. Archived from the original on 28 March 2016. Retrieved 21 December 2017. ^ Rose, David (13 May 2001). "Concorde: The unanswered questions". The Guardian. The Observer. London. Retrieved 18 April 2010. ^ "Concorde: For the Want of a Spacer". Iasa.com. Retrieved 21 December 2017. ^ "Untold Story of the Concorde Disaster". Askthepilot.com. Retrieved 21 December 2017. ^ Cody, E. "French court holds Continental Airlines responsible for 2000 Concorde crash". The Washington Post, 6 December 2010. ^ "Concorde crash: Continental Airlines killings verdict quashed". BBC. Retrieved 19 January 2016. ^ a b c Report No: 6/1989. Report on the accident to Concorde 102, G-BOAF over the Tasman Sea, about 140 nm east of Sydney, Australia on 12 April 1989. 1989. Retrieved 25 January 2016. ^ a b c Report No: 5/1993. Report on the accident to British Aircraft Corporation/SNIAS Concorde 102, G-BOAB, over the North Atlantic, on 21 March 1992. 1993. Retrieved 25 January 2016. ^ "Human Factor Issues Emerge from Concorde Crash Investigation". Air Safety Week. 11 February 2002. Archived from the original on 5 November 2013. Retrieved 9 June 2013. ^ "Accident on 25 July 2000 at La Patte d'Oie in Gonesse (95) to the Concorde registered F-BTSC operated by Air France" (PDF). French Bureau Enquêtes-Accidents (BEA), January 2002. pp. 145–147. Retrieved 9 June 2013. ^ "Concorde's safety modifications". BBC News. 17 July 2001. ^ "Concorde Completes Successful Test Flight". Fox News. 17 July 2001. Archived from the original on 9 February 2011. Retrieved 30 June 2011. ^ "Concorde, 100 BA staff fly over Atlantic". United Press International. 11 September 2001. ^ Williams, Timothy (7 November 2001). "Concorde returns". Ocala Star-Banner. ^ "Concorde 'back where she belongs'". BBC News. 6 November 2001. ^ "Soviet Union: Christening the Concordski". Time. 14 November 1977. Retrieved 30 June 2011. ^ Gordon, Yefim. Tupolev Tu-144. London: Midland, 2006. ISBN 1-85780-216-0. ^ Hans-Reichel, Michael (2012). Subsonic versus Supersonic Business Jets – Full Concept Comparison considering Technical, Environmental and Economic Aspects. diplom.de. p. 4. ISBN 978-3-8428-2809-4. ^ Hess, John L (26 May 1971). "Soviet SST, in Its First Flight to the West, Arrives in Paris for Air Show". The New York Times. Retrieved 30 June 2011. ^ Deruaz, George (4 June 1973). "Soviet SST stalls, dives into towns". St. Petersburg Times. Retrieved 30 June 2011. ^ "Pride of Soviet air fleet explodes during exhibition". Sarasota Journal. 4 June 1973. Retrieved 30 June 2011. ^ Fisher, Dan (27 October 1978). "Russia confirms crash of Supersonic Airliner in test: Latest failure of Trouble-plagued TU-144 seen as blow to Soviet hopes of expanding industry". Los Angeles Times. ^ "ASN Aircraft accident Tupolev 144D CCCP-77111 Yegoryevsk". Flight Safety Foundation. Retrieved 1 July 2011. ^ "The Tu-144: the future that never was". RIA Novosti. 3 January 2008. Retrieved 30 June 2011. ^ Fridlyander, Iosif. "Sad Epic of the Tu-144." Messenger of Russian Academy of Sciences, №1, 2002 (in Russian: И.Н. Фридляндер, "Печальная эпопея Ту-144" Archived 28 September 2011 at the Wayback Machine Archived 28 September 2011 at the Wayback Machine, Вестник РАН, №1, 2002. ^ "The United States SST Contenders". Flight International. 13 February 1964. pp. 234–235. Retrieved 30 June 2011. ^ Winchester 2005a, p. 84. ^ Lyons, Richard D (5 January 1969). "The Russians Lead With the SST..." The New York Times. Retrieved 30 June 2011. ^ "B-58's Sonic Boom Rattles Kentuckians". Chicago Daily Tribune. 19 December 1961. Retrieved 30 June 2011. ^ "The Nation: Showdown on the SST". Time. 29 March 1971. Retrieved 30 June 2011. ^ Hoyle, Craig. "Kings of the swingers: Top 13 swing-wing aircraft". Flightglobal. Retrieved 19 January 2016. ^ "Here Comes the Concorde, Maybe". Time. 16 February 1976. Retrieved 30 June 2011. ^ Allen, Robert M. "Legal and Environmental ramifications of the Concorde". J. Air L. & Com., 1976. Retrieved 30 June 2011. ^ Hock, R.; R. Hawkins (1974). "Recent studies into Concorde noise reduction". AGARD Noise Mech: 14. Archived from the original on 11 October 2012. Retrieved 30 June 2011. ^ Muss, Joshua A. (1977). "Aircraft Noise: Federal pre-emption of Local Control, Concorde and other recent cases". J. Air L. & Com. Retrieved 30 June 2011. ^ Endres 2001, p. 90. ^ "Reducing noise with type 28 nozzle". Aircraft Engineering and Aerospace Technology. 45 (4): 14. 1973. doi:10.1108/eb035013. ^ a b Fahey, D. W.; et al. (1995). "Emission Measurements of the Concorde Supersonic Aircraft in the Lower Stratosphere". Science. 270 (5233): 70. Bibcode:1995Sci...270...70F. doi:10.1126/science.270.5233.70. ^ Newsday (8 October 1995). "Increase in supersonic jets could be threat to ozone". The Baltimore Sun. ^ Anderson, Jon (1978). "Decision Analysis in Environmental Decisionmaking: Improving the Concorde Balance". HeinOnline. Retrieved 30 June 2011. ^ "Train à grande vitesse causes distress". Environmental Science and Engineering Magazine. November 2001. Archived from the original on 19 November 2018. ^ "National and regional tranquillity maps". Campaign to Protect Rural England. Archived from the original on 14 September 2010. Retrieved 25 April 2010. ^ "CONCORDE SST: Powerplant". concordesst.com. ^ "British Airways Concorde is expected to begin flying passengers again in next 6 weeks". The Dallas Morning News. 23 August 2001. Retrieved 30 June 2011. ^ "Farewell to Concorde". BBC News. 15 August 2007. Retrieved 15 January 2010. ^ Ferrar 1980, p. 114. ^ "Celebrate Concorde: videos". British Airways. Retrieved 15 January 2010. "Documentary of British Airways Concorde introduction". YouTube. ^ "Red Arrows fly into Scotland". Daily Record. 12 June 2000. Archived from the original on 16 June 2012. Retrieved 30 June 2011. "Million turn out to crown Queen's Jubilee". The Daily Telegraph. London. 4 June 2002. Retrieved 1 April 2010. ^ Laville, Sandra (24 October 2003). "Chaos fear at Concorde farewell". The Daily Telegraph. London. ^ Jury, Louise (16 March 2006). "Concorde beats Tube map to become Britain's favourite design". The Independent. London. ^ "Long list unveiled for national vote on public's favourite example of Great British Design". BBC. 18 November 2016. ^ "Concorde Clipreel: Part 9". AP Archive. "Heritage Concorde". Archived from the original on 20 October 2013. "Concorde chronology". Aviation News Magazine. Archived from the original on 5 March 2016. ^ "Concorde Clipreel: Part 8". AP Archive. Keystone. "French President Georges Pompidou at the microphone in the cockpit of..." Getty Images. ^ "The Amarillo Globe-Times from Amarillo, Texas · Page 31". Newspapers.com. "The Ottawa Journal from Ottawa, · Page 29". Newspapers.com. "THE QUEEN'S VISIT TO NORTH AMERICA". millbanksystems.com. ^ "François Mitterrand". Telegraph.co.uk. 9 January 1996. "French Cosmonaut Aboard: Mitterrand Sees a Soviet Space Launch". latimes. "President Francois Mitterrand prepared today to fly by Concorde". Kingston Gleaner, 12 September 1985, p. 9. ^ Burleigh, Craig (2008). "Queen Elizabeth II Silver Jubilee in Barbados ends with her first flight on Concorde on a record setting flight back to London Heathrow". Retrieved 16 January 2010. Queen Elizabeth II (January 2010). "Queen and Barbados: Royal visits". Retrieved 16 January 2010. "CONCORDE SST: TIMELINE −90's". concordesst.com. ^ "Concorde F-BTSC – French Production Test Aircraft". Concorde Art World. Archived from the original on 11 May 2008. Retrieved 11 May 2014. ^ Tharoor, Ishaan (20 October 2011). "Mobutu Sese Seko". Top 15 Toppled Dictators. Time Magazine. Retrieved 30 April 2013. Shaw, Karl (2005) . Power Mad! [Šílenství mocných] (in Czech). Praha: Metafora. pp. 47, 58. ISBN 978-80-7359-002-4. "Finding the Right Arizona Insurance". Concorde Insurance. "Concorde Clipreel: Part 14". AP Archive. ^ a b "Concorde Spirit Tours". concorde-spirit-tours.com. ^ Reuters News Service (9 February 1996). "SST makes record flight". St Louis Post. Retrieved 30 June 2011. ^ "Concorde Supersonic Airliner – Record Breaker". concorde-art-world.com. Archived from the original on 11 May 2008. ^ "List of Concorde Records in Main Discussion area Forum". Yuku. ^ Adrian Swift (15 February 1985). "Late, but the white dart is in time to claim record". The Sydney Morning Herald. ^ Cramoisi, George (2010). Air Crash Investigations: The End of the Concorde Era, the Crash of Air France Flight 4590. Lulu. p. 518. ISBN 978-0-557-84950-5. ^ "French Concorde to attempt round-the-world record". Anchorage Daily News. 12 October 1992. ^ "Concorde jets occupants on record ride". Deseret News. 17 August 1995. ^ "Rolls-Royce SNECMA Olympus". Janes. 25 July 2000. ^ "Concorde". Museum of Flight. Retrieved 21 August 2011. ^ Kelly 2005, p. 52. ^ "Aviation Week & Space Technology" (PDF). 17 March 1969: 284. Retrieved 27 January 2019. ^ "Concorde Airframe". Heritage Concorde. Retrieved 27 January 2019. ^ smh. "Extremely Comprehensive Concorde Relaunch Kit from Air France". asiatraveltips.com. Conway, Eric (2005). High-Speed Dreams: NASA and the Technopolitics of Supersonic Transportation, 1945–1999. JHU Press. ISBN 978-0-8018-8067-4. Beniada, Frederic (2006). Concorde. Minneapolis, Minnesota: Zenith Press. ISBN 978-0-7603-2703-6. Calvert, Brian (2002). Flying Concorde: The Full Story. London: Crowood Press. ISBN 978-1-84037-352-3. Deregel, Xavier; Lemaire, Jean-Philippe. Concorde Passion. New York: LBM, 2009. ISBN 978-2-915347-73-9. Endres, Günter (2001). Concorde. St Paul, Minnesota: MBI Publishing Company. ISBN 978-0-7603-1195-0. Ferrar, Henry, ed. (1980). The Concise Oxford French-English Dictionary. New York: Oxford University Press. ISBN 978-0-19-864157-5. Frawley, Gerald (2003). The International Directory of Civil Aircraft, 2003/2004. Aerospace Publications. ISBN 978-1-875671-58-8. Gordon, Yefim; Rigmant., Vladimir (2005). Tupolev Tu-144. Hinckley, Leicestershire, UK: Midland. ISBN 978-1-85780-216-0. .
Gunn, John (2010). Crowded Skies. Turnkey Productions. ISBN 978-0-646-54973-6. Kelly, Neil (2005). The Concorde Story: 34 Years of Supersonic Air Travel. Surrey, UK: Merchant Book Company Ltd. ISBN 978-1-904779-05-6. Knight, Geoffrey (1976). Concorde: The Inside Story. London: Weidenfeld and Nicolson. ISBN 978-0-297-77114-2. Lewis, Rob; Lewis, Edwin (2004). Supersonic Secrets: The Unauthorised Biography of Concorde. London: Exposé. ISBN 978-0-9546617-0-0. McIntyre, Ian (1992). Dogfight: The Transatlantic Battle over Airbus. Westport, Connecticut: Praeger Publishers. ISBN 978-0-275-94278-6. Nunn, John Francis (1993). Nunn's Applied Respiratory Physiology. Burlington, Maryland: Butterworth-Heineman. ISBN 978-0-7506-1336-1. Owen, Kenneth (2001). Concorde: Story of a Supersonic Pioneer. London: Science Museum. ISBN 978-1-900747-42-4. Orlebar, Christopher (2004). The Concorde Story. Oxford, UK: Osprey Publishing. ISBN 978-1-85532-667-5. Ross, Douglas (March 1978). The Concorde Compromise: The Politics of Decision-making. Bulletin of the Atomic Scientists. Schrader, Richard K (1989). Concorde: The Full Story of the Anglo-French SST. Kent, UK: Pictorial Histories Pub. Co. ISBN 978-0-929521-16-9. Taylor, John W. R. (1965). Jane's All the World's Aircraft 1965–66. Marston. Winchester, Jim (2005a). The World's Worst Aircraft: From Pioneering Failures to Multimillion Dollar Disasters. London: Amber Books Ltd. ISBN 978-1-904687-34-4. Winchester, Jim (2005b). X-Planes and Prototypes: From Nazi Secret Weapons to the Warplanes of the Future. Amber Books Ltd. ISBN 978-1-84013-815-3. Wikimedia Commons has media related to Concorde. Donald Fink (10 March 1969). "Concorde Enters Flight Test Phase" (PDF). Aviation Week & Space Technology. "First Concorde Supersonic Transport Flies" (PDF). Aviation Week & Space Technology. 17 March 1969. Capt R. E. Gillman (24 January 1976). "Concorde as viewed from the flightdeck". Flight International. Dave North (20 October 2003). "End of an Era". Aviation Week & Space Technology. "Video: Roll-out." British Movietone/Associated Press. 14 December 1967, posted online on 21 July 2015. "This plane could cross the Atlantic in 3.5 hours. Why did it fail?." Vox Media. 19 July 2016. This page was last edited on 23 April 2019, at 14:16 (UTC).